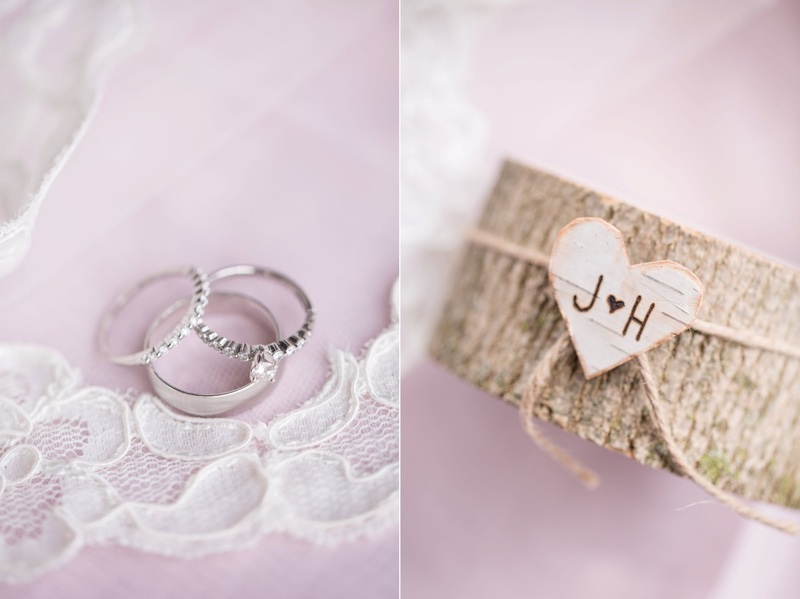 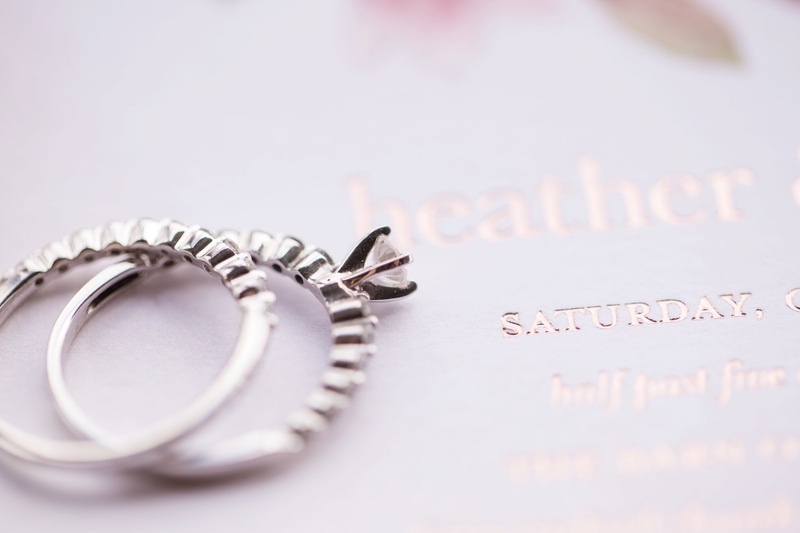 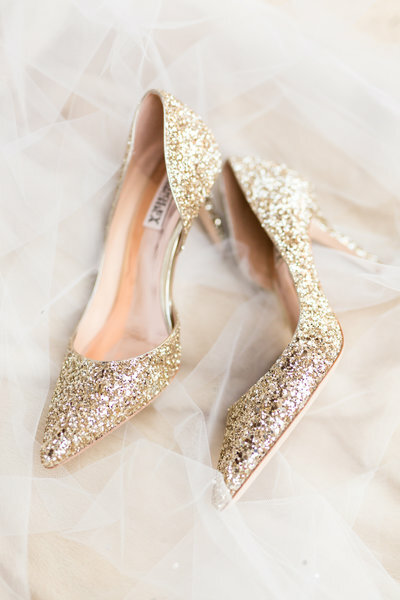 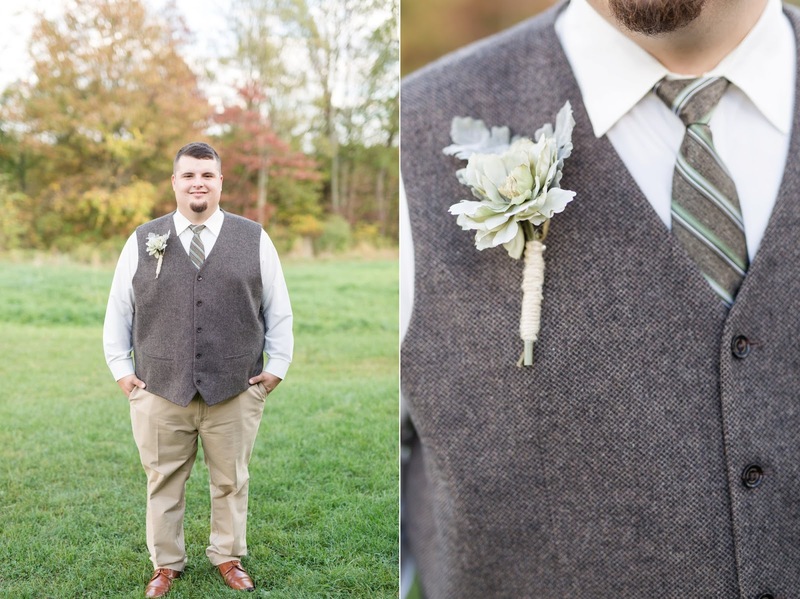 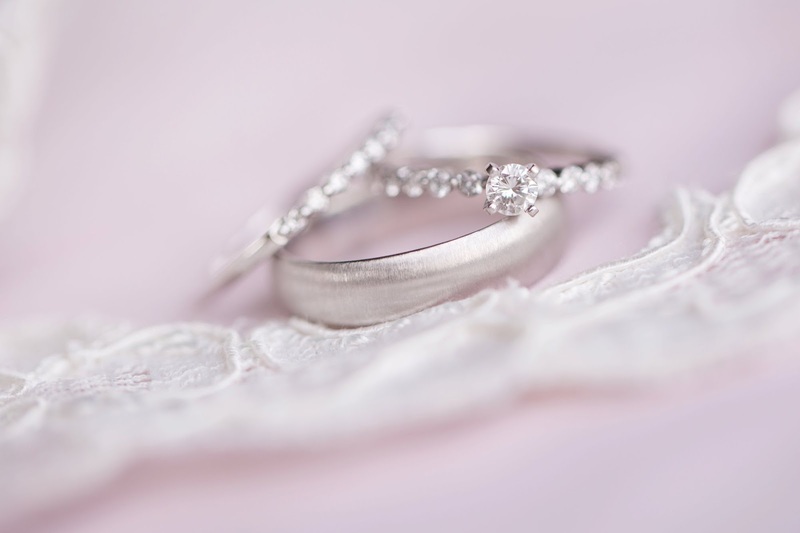 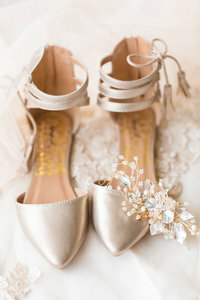 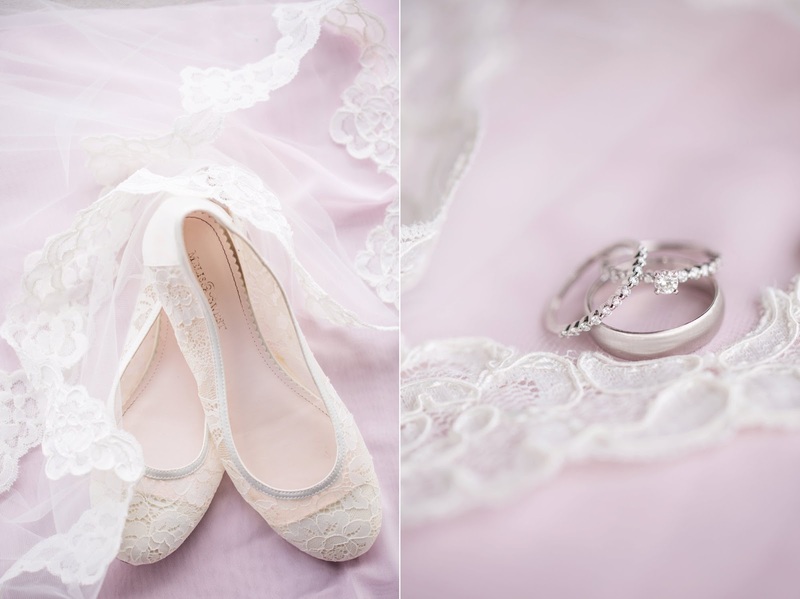 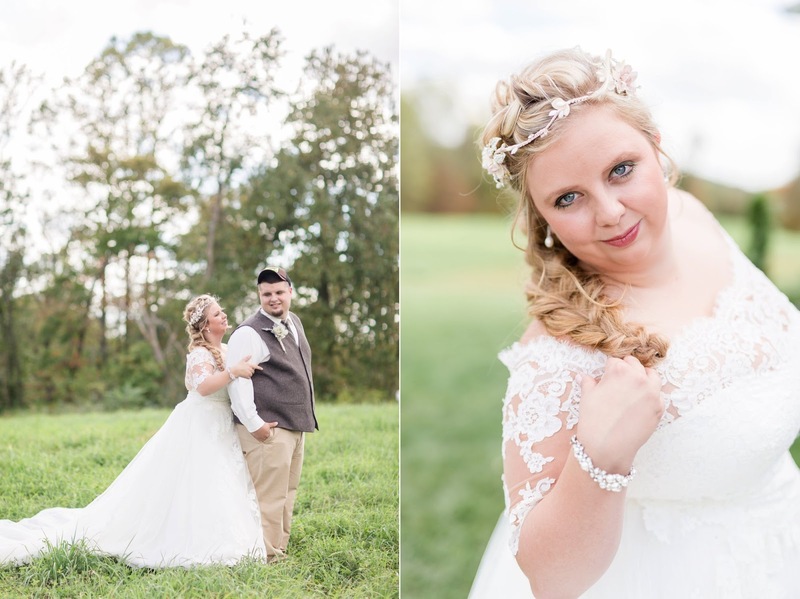 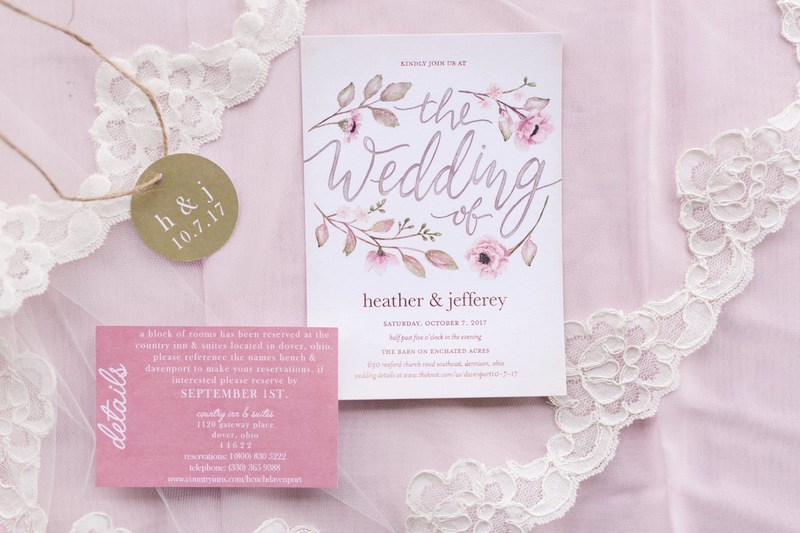 I’m so excited to finally be sharing Heather and Jeff’s wedding! 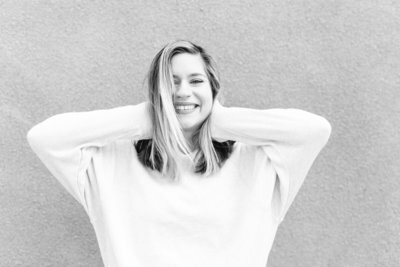 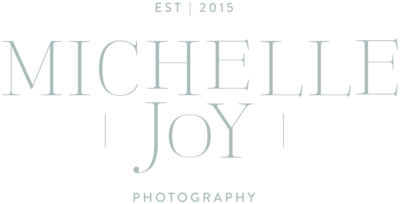 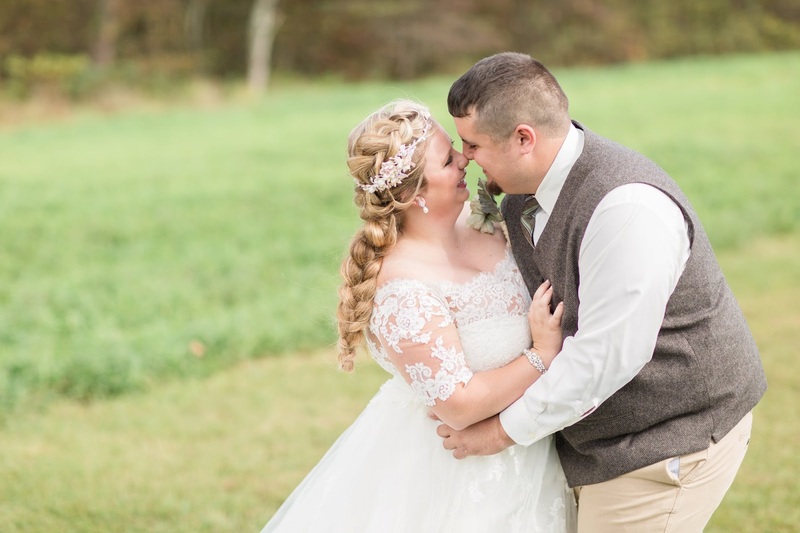 I had so much fun getting to know this sweet couple’s family and friends, and am so glad that I was the person they chose to document their wedding day. 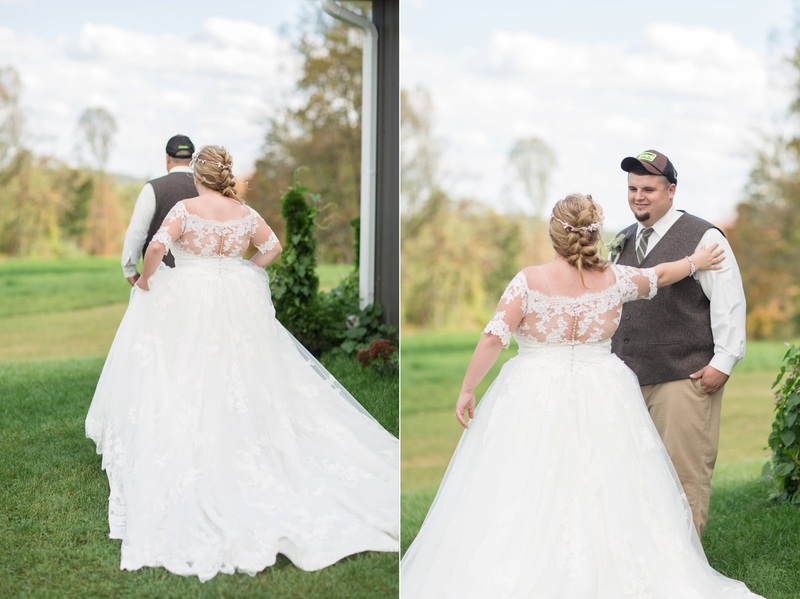 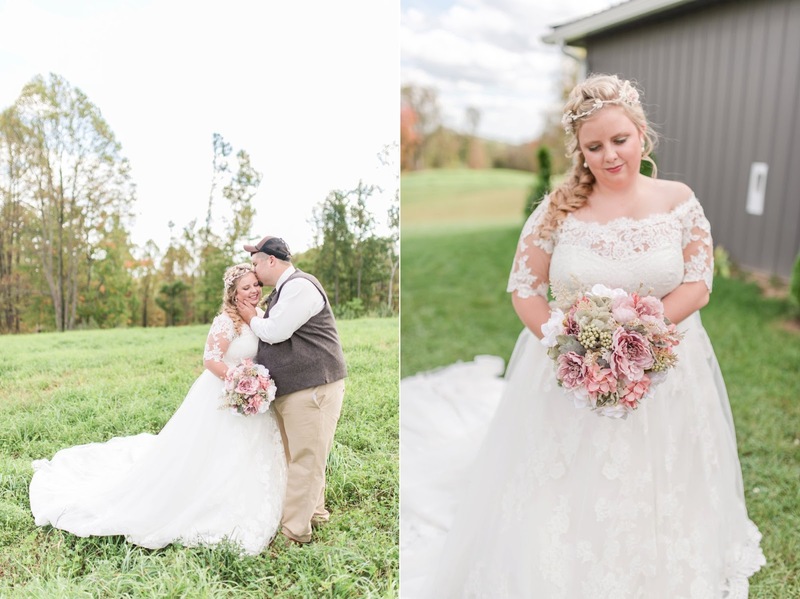 Heather is cute as a button and was so excited to show off her incredible lace wedding dress with a full cathedral train. 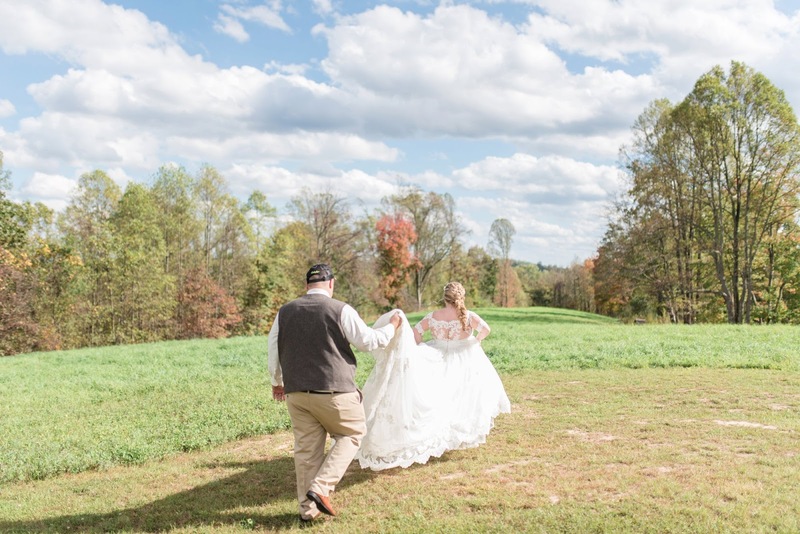 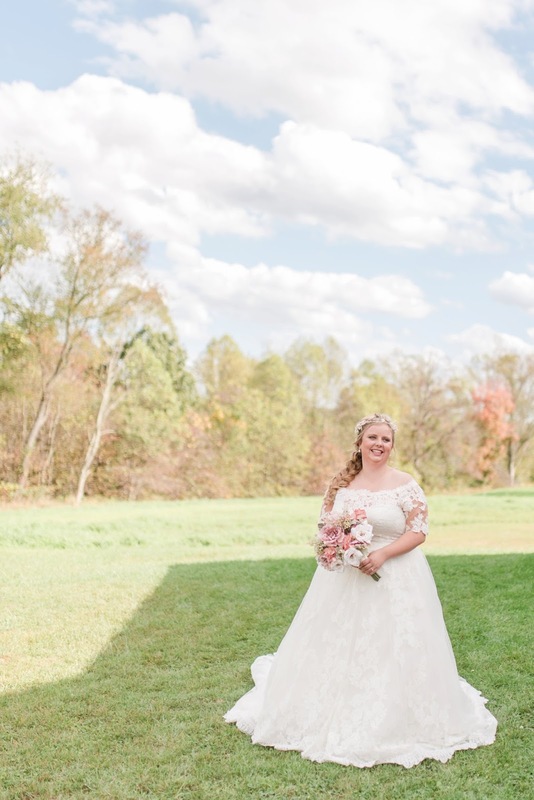 In my opinion, it was well worth the effort of carrying it around through the jungle-like fields surrounding the barn, because it just looked so stunning on her (for all my Disney fans out there, she basically transformed into Elsa). 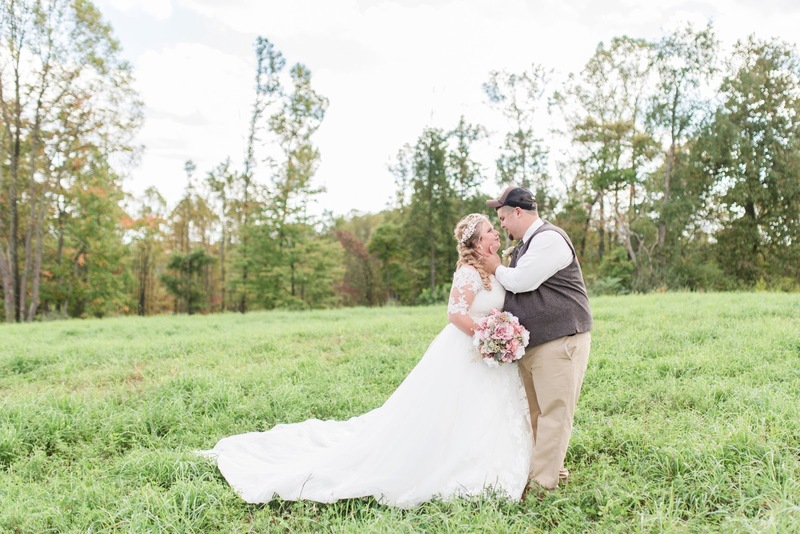 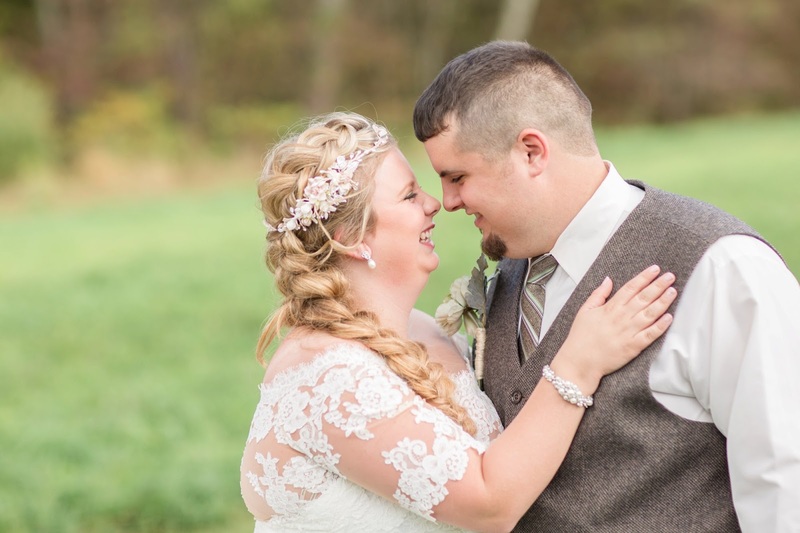 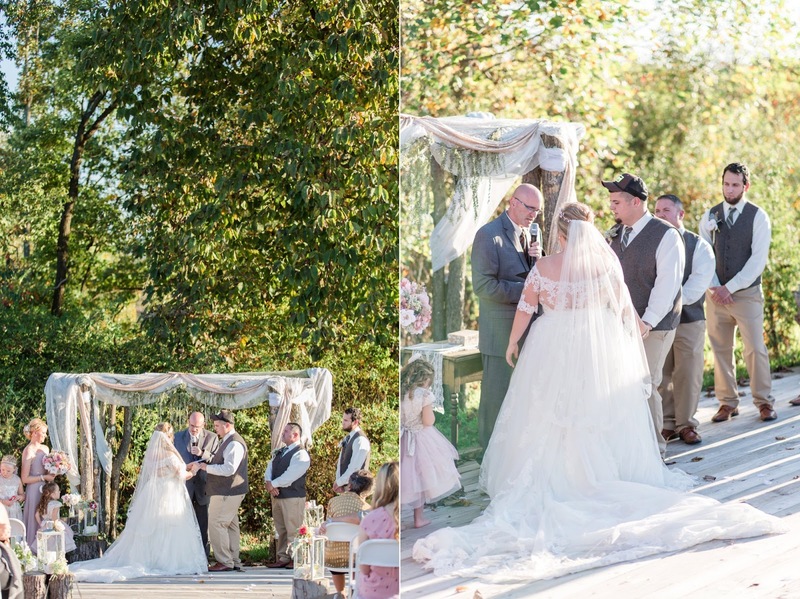 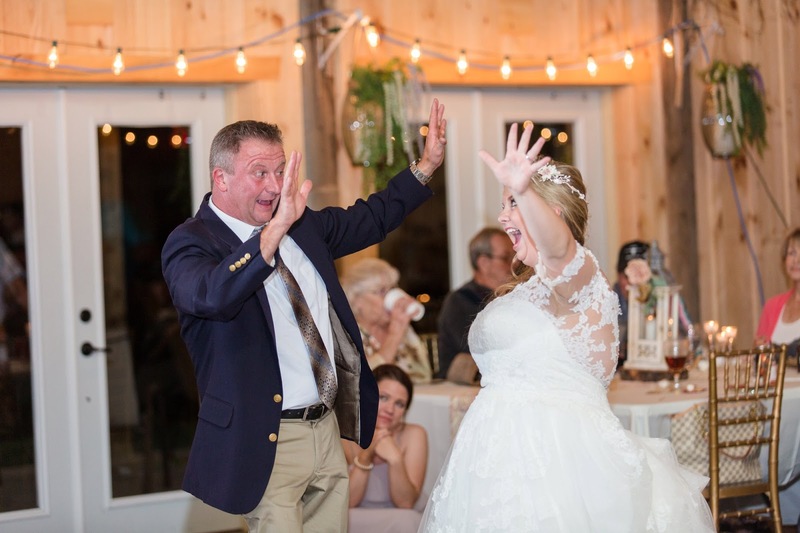 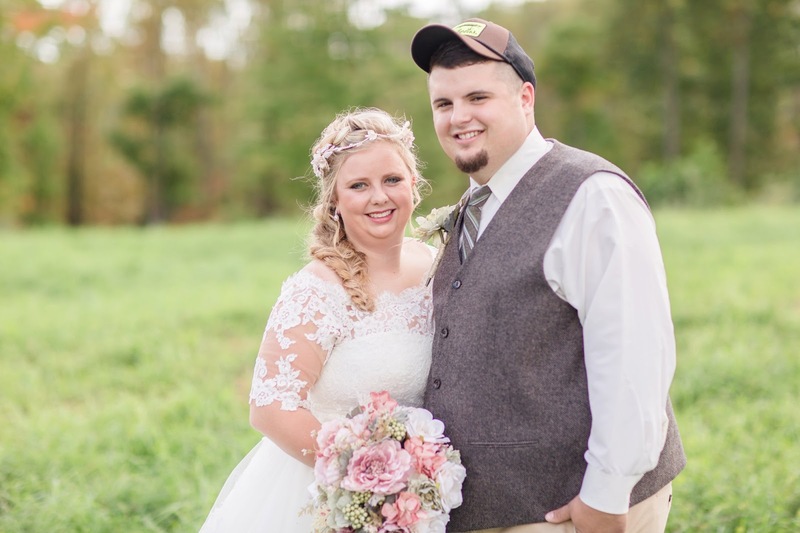 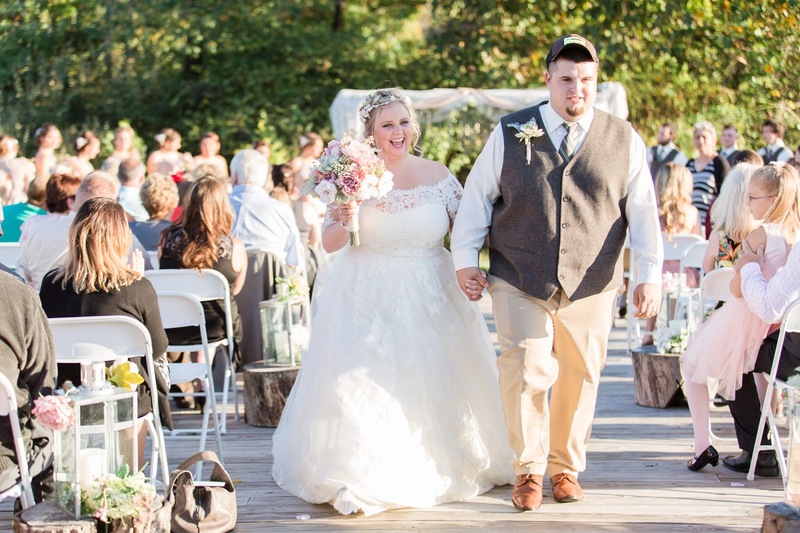 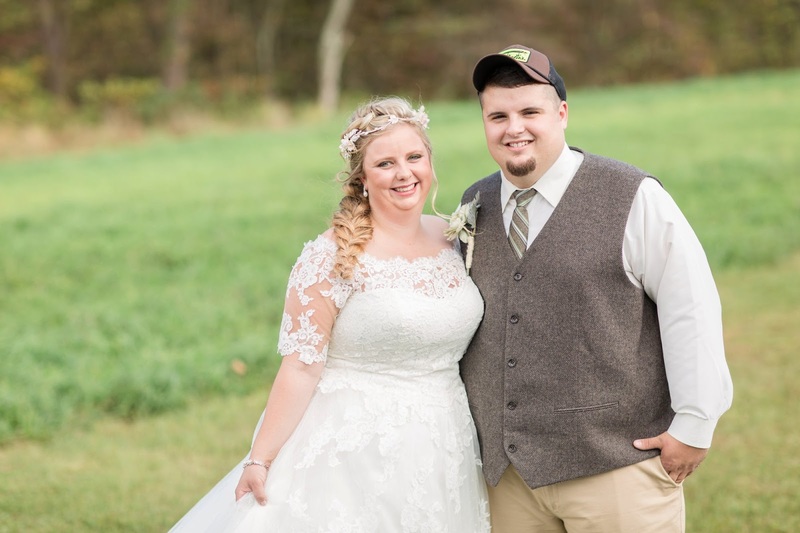 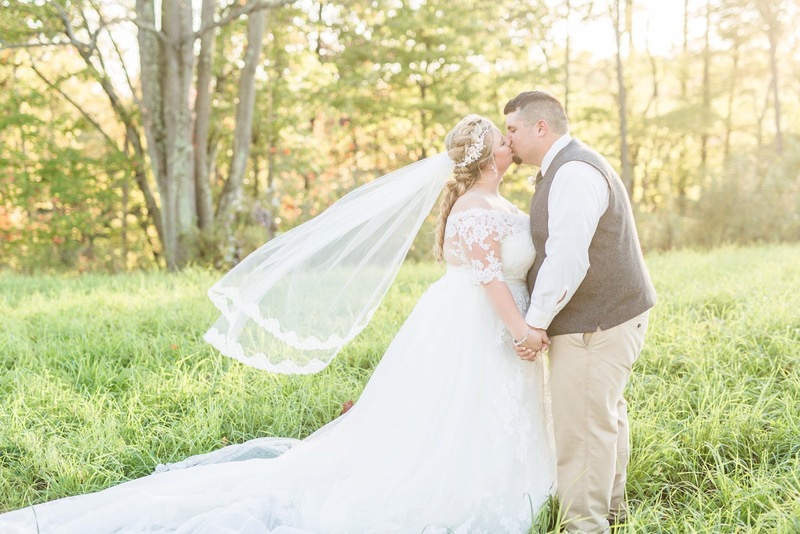 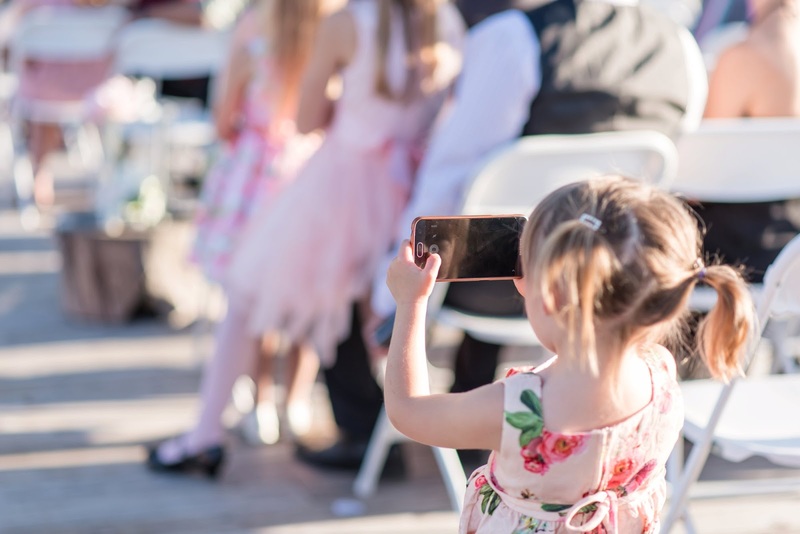 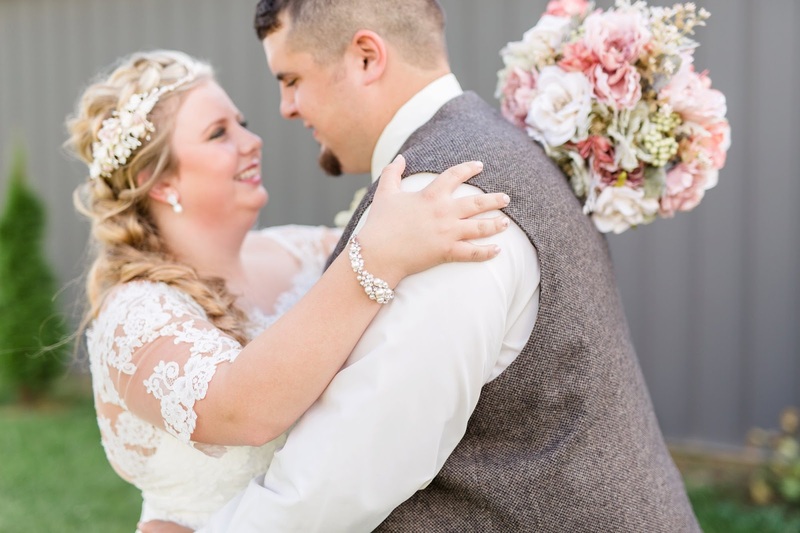 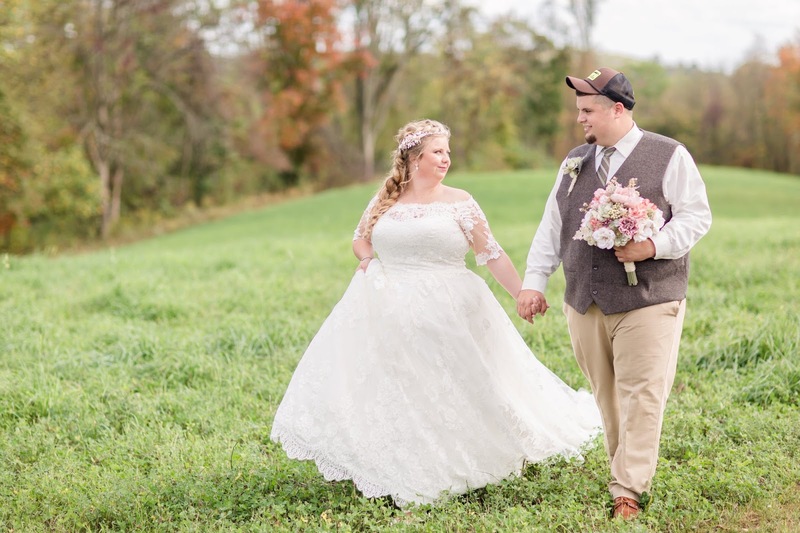 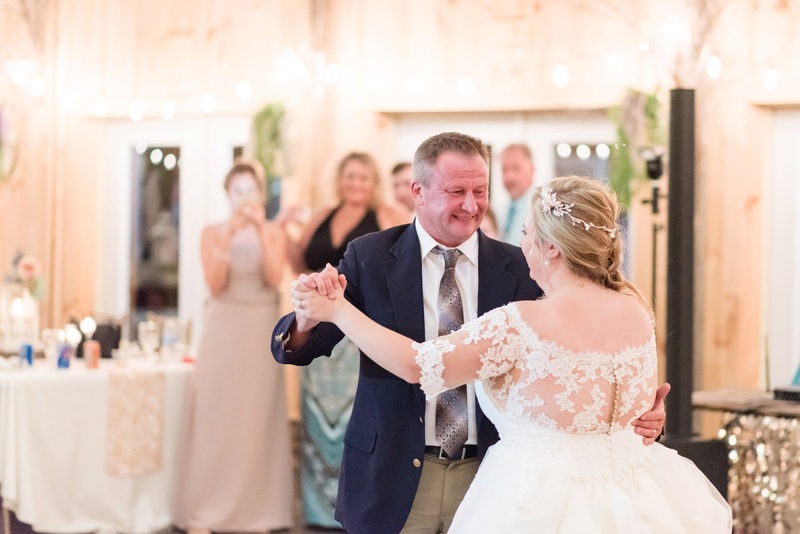 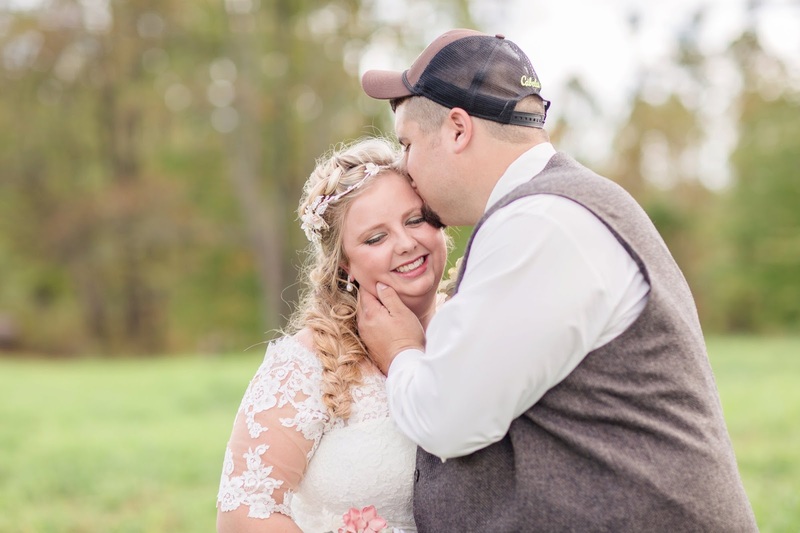 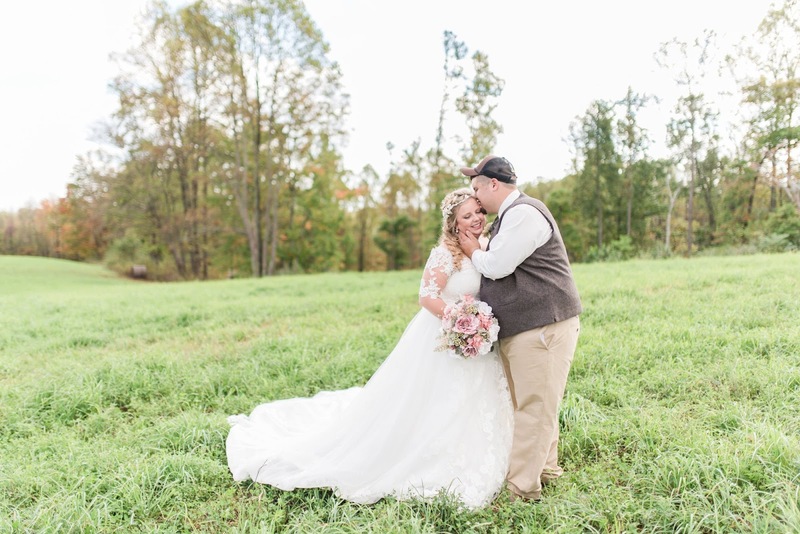 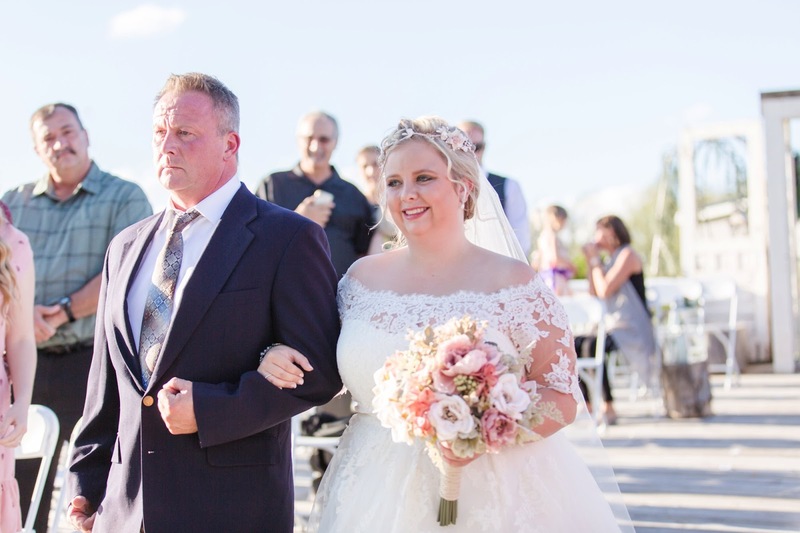 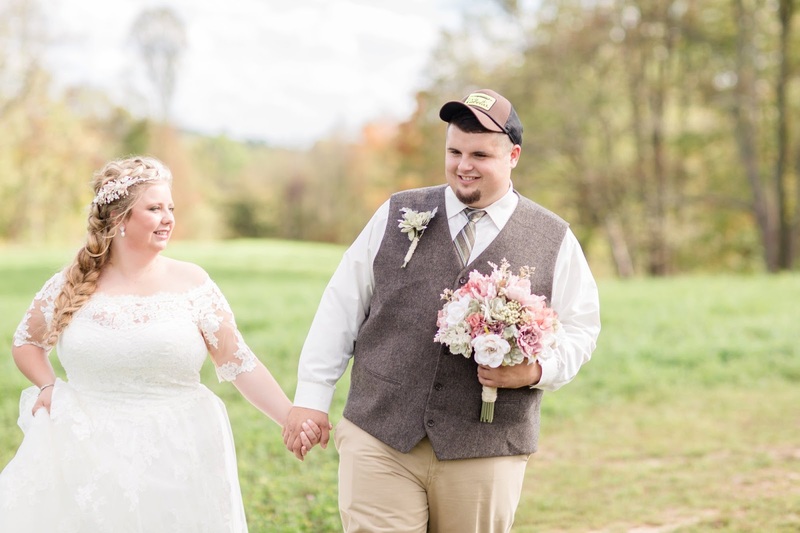 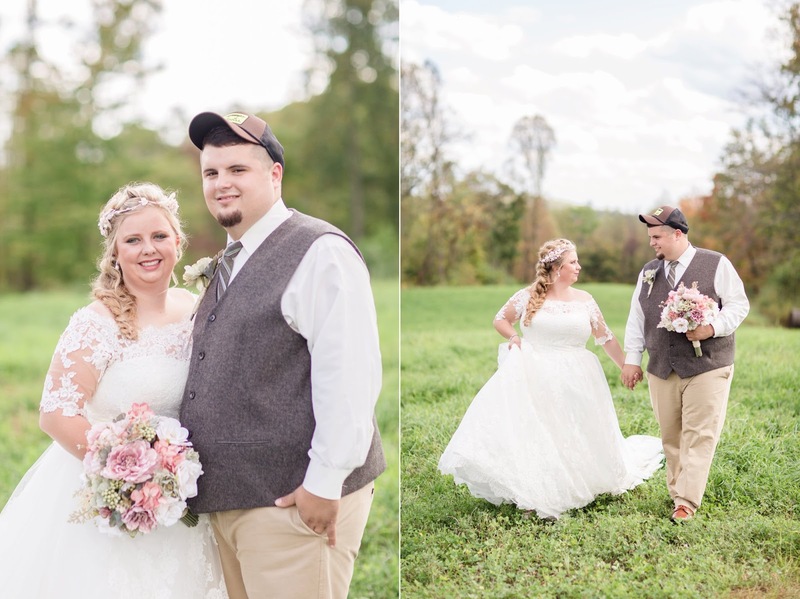 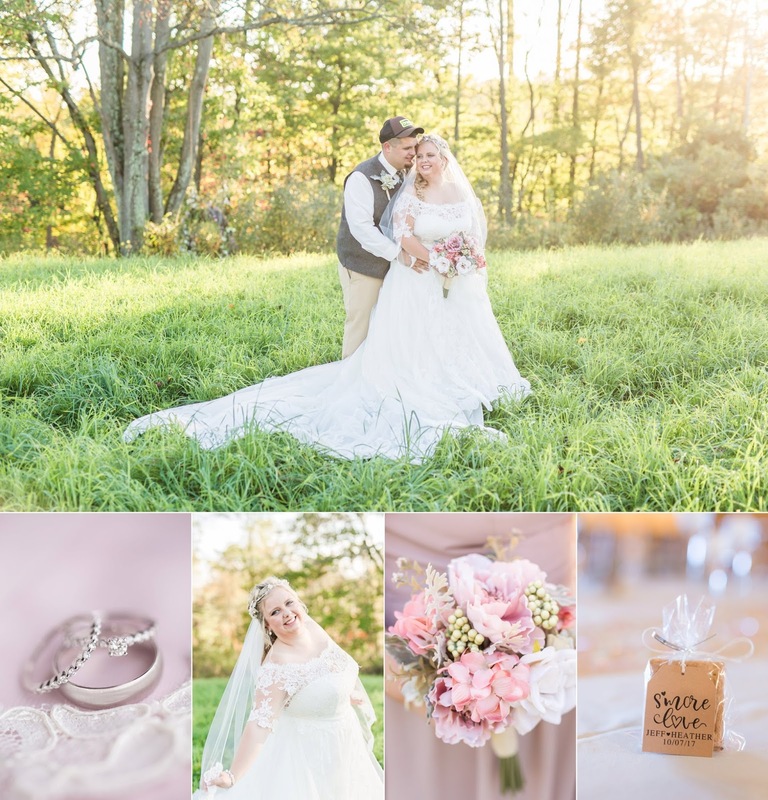 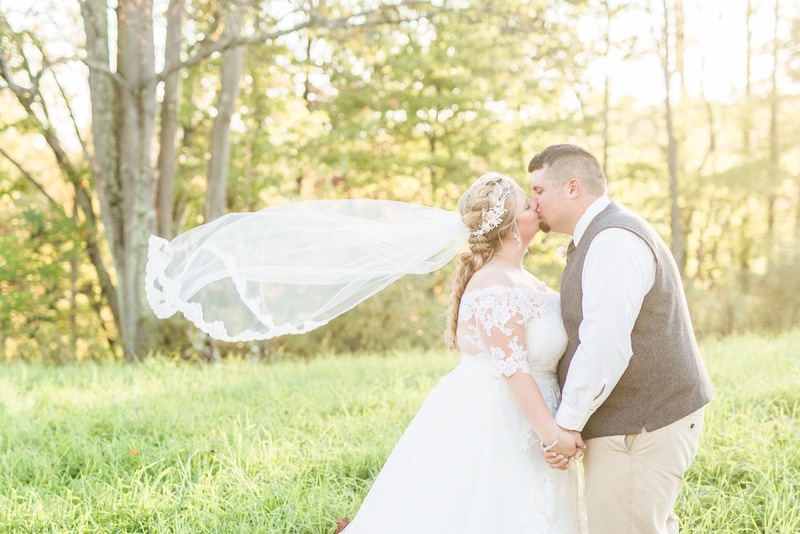 Heather and Jeff shared a first look, which allowed them to share so much of their wedding day together, and also meant that we got practically all the pictures finished before the ceremony so they could spend as much time as possible celebrating with their friends and family! 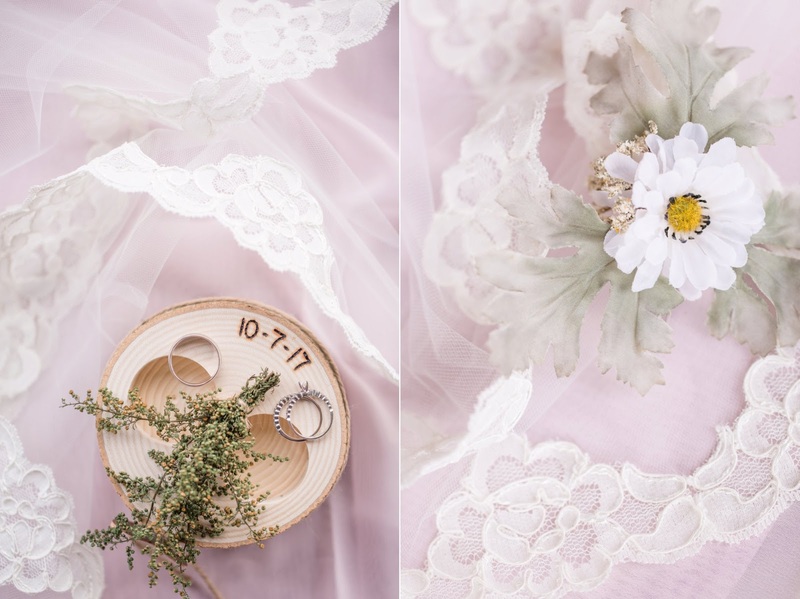 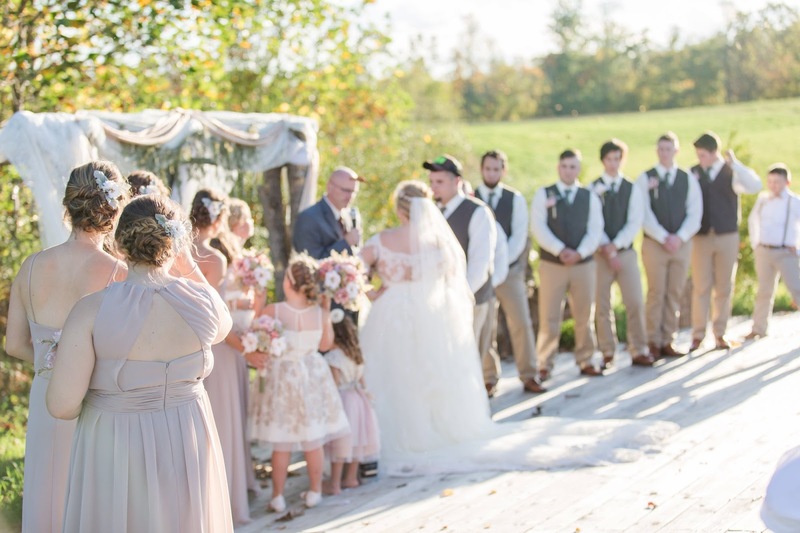 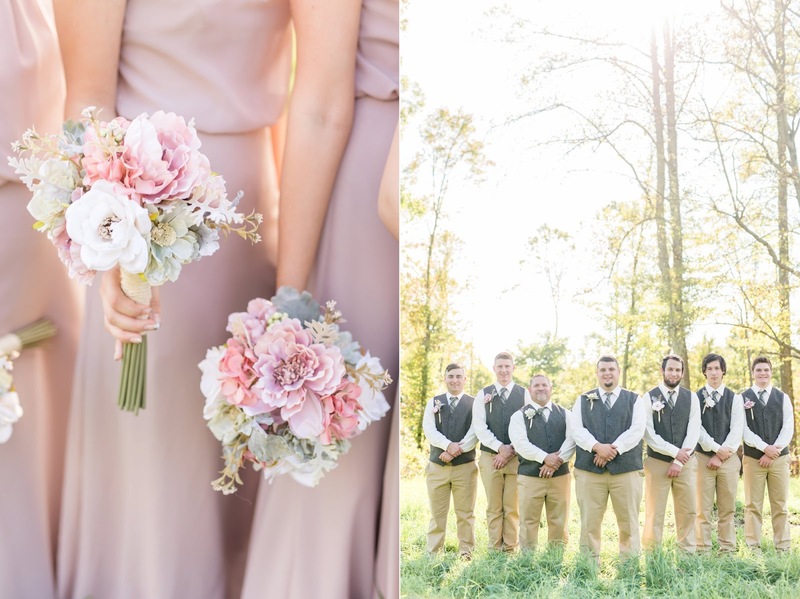 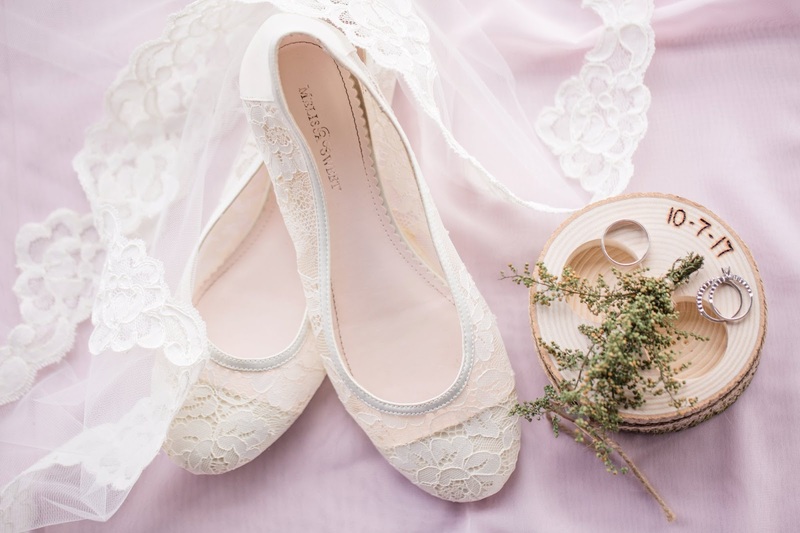 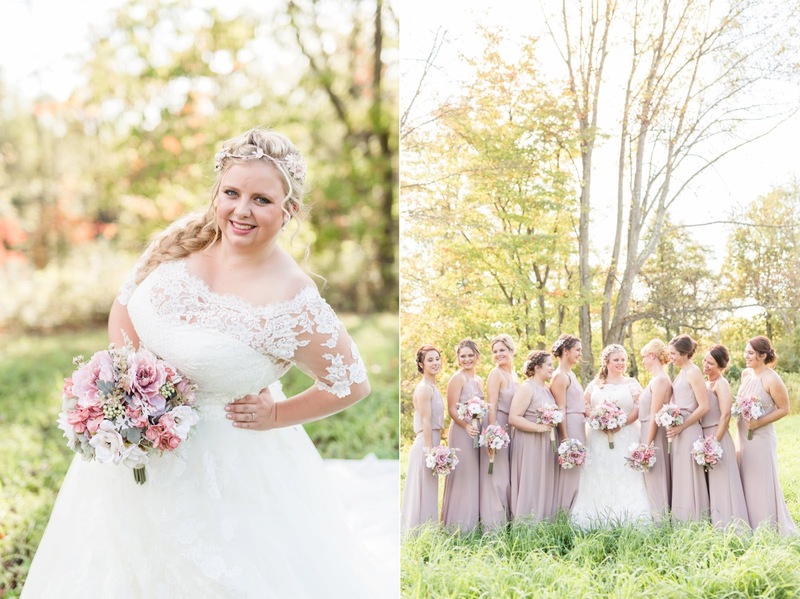 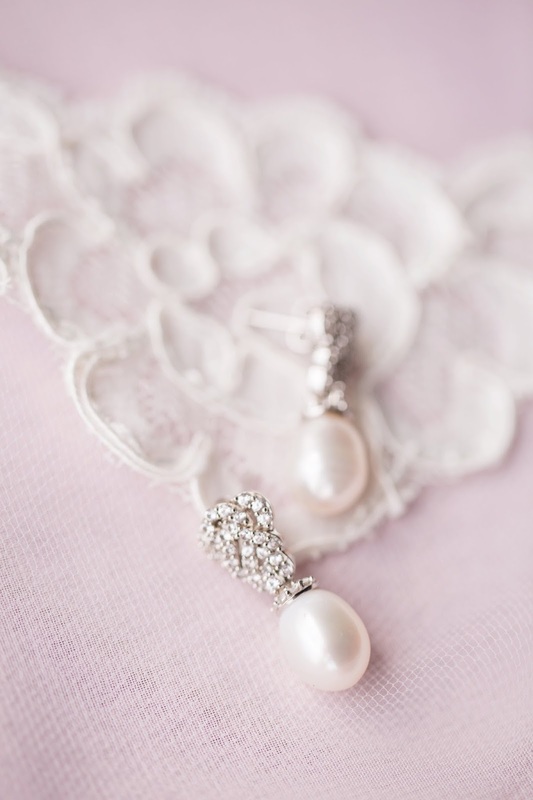 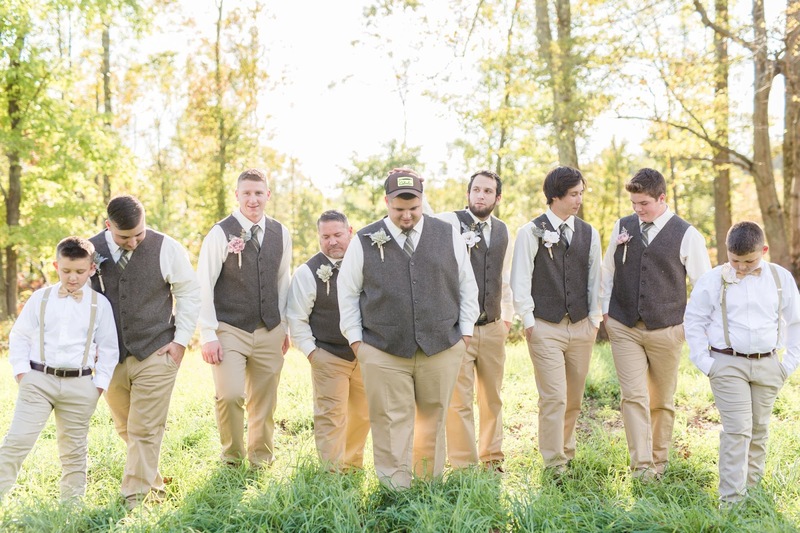 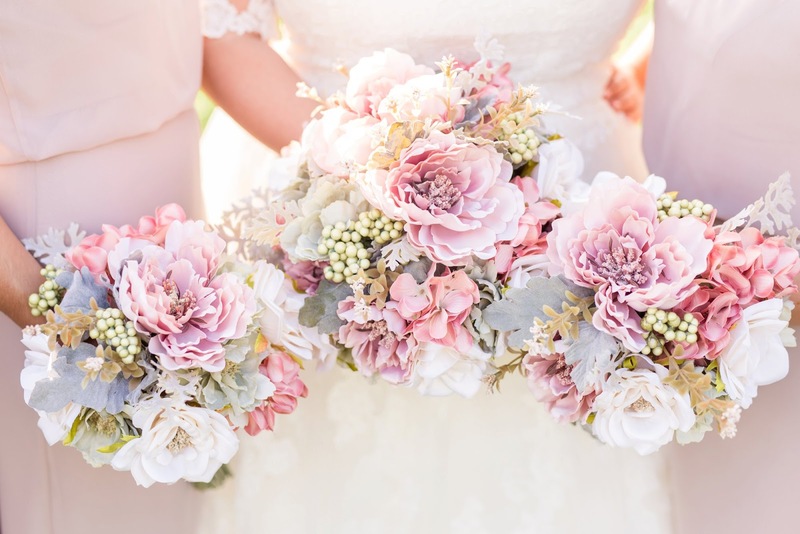 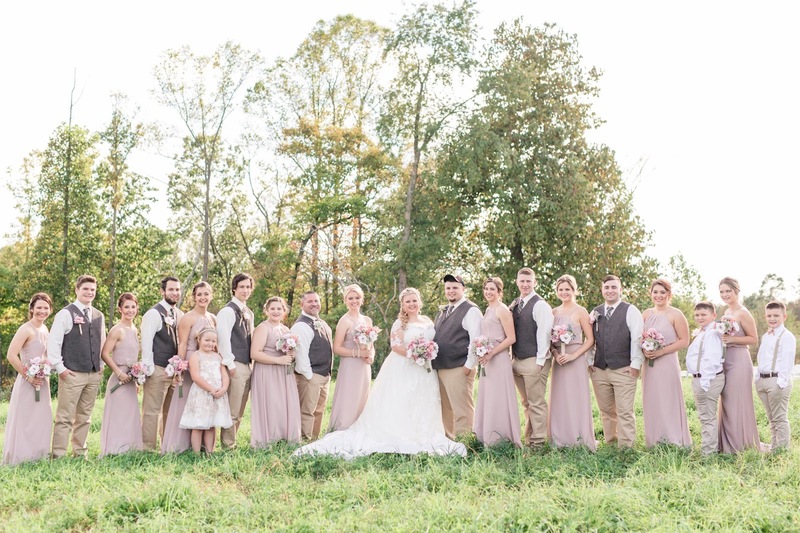 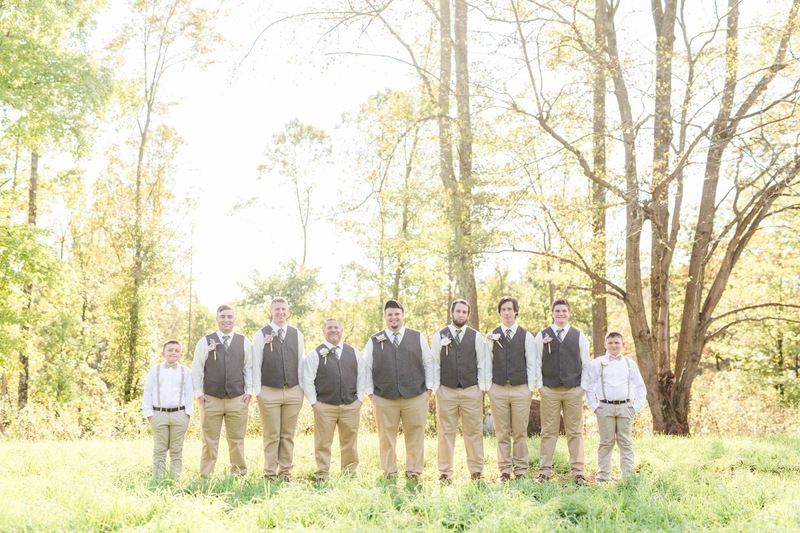 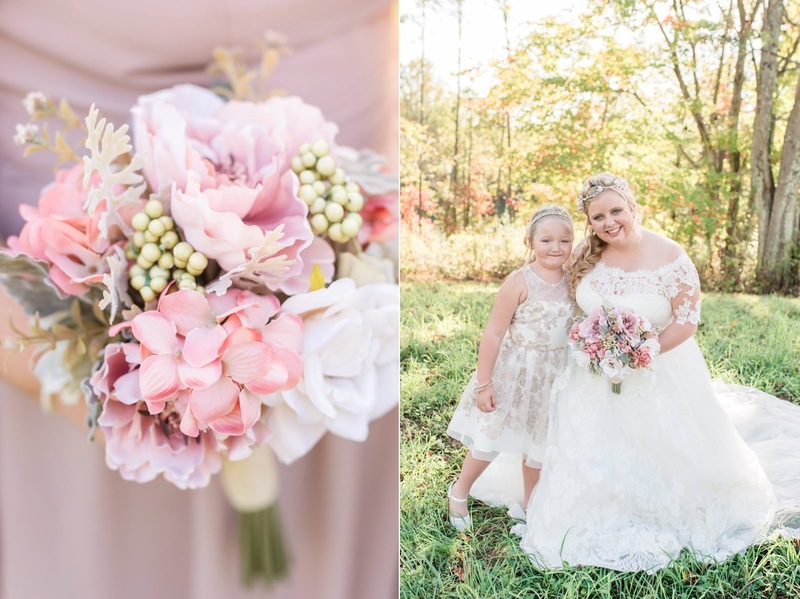 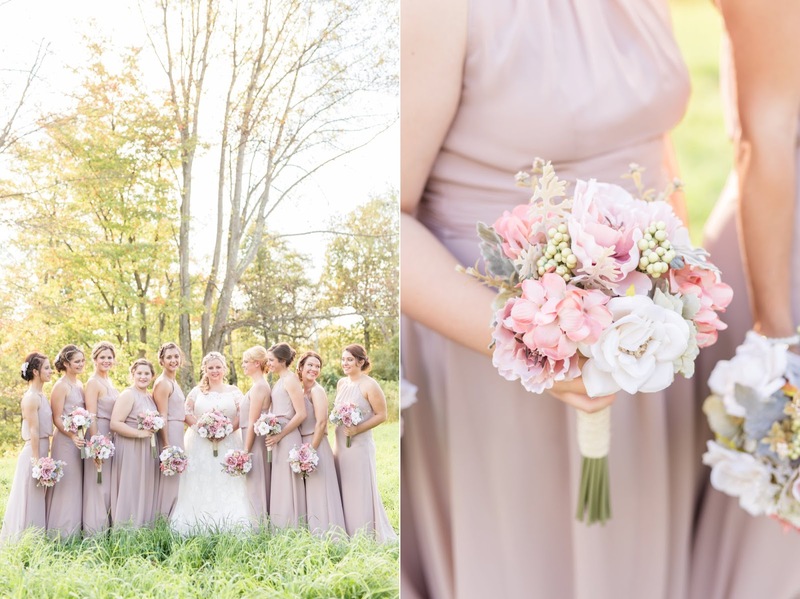 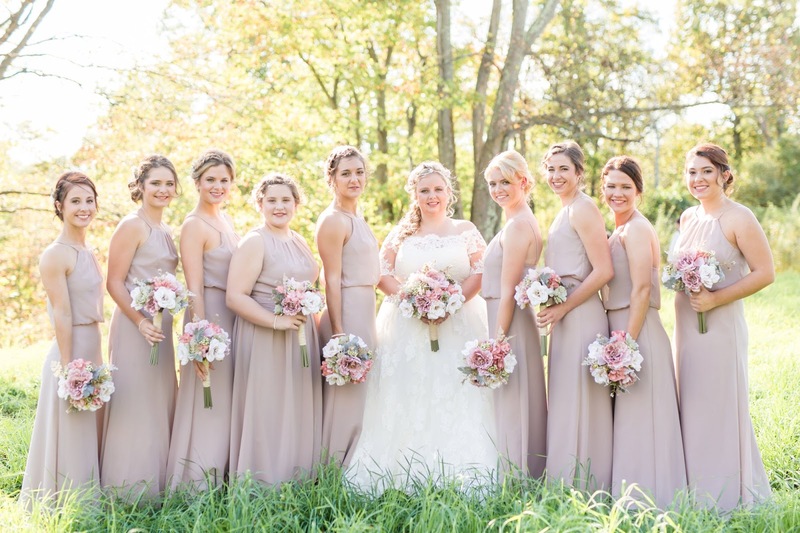 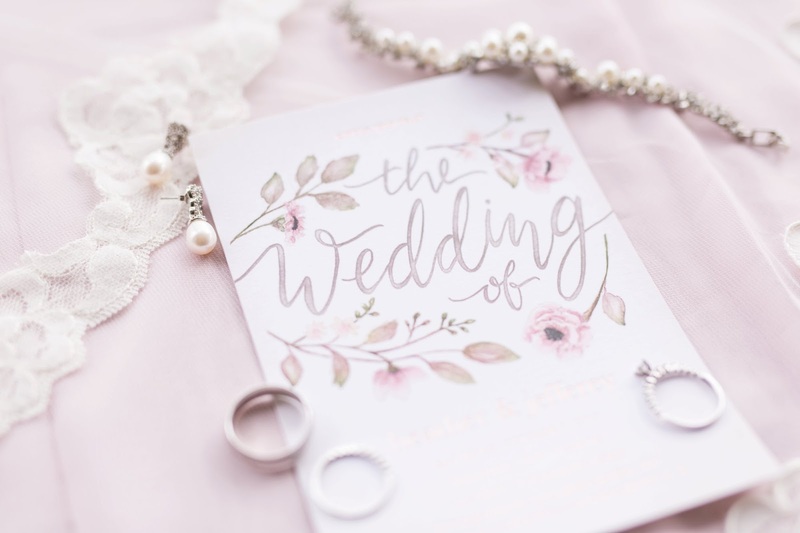 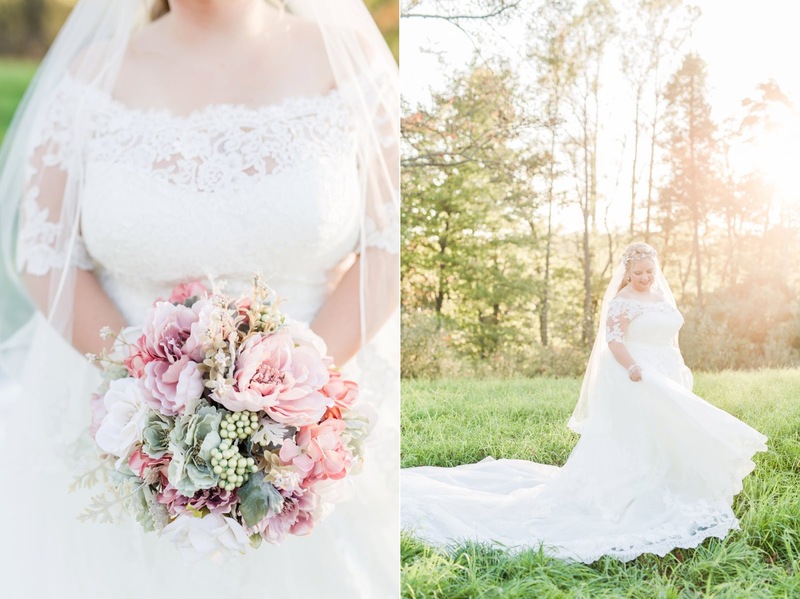 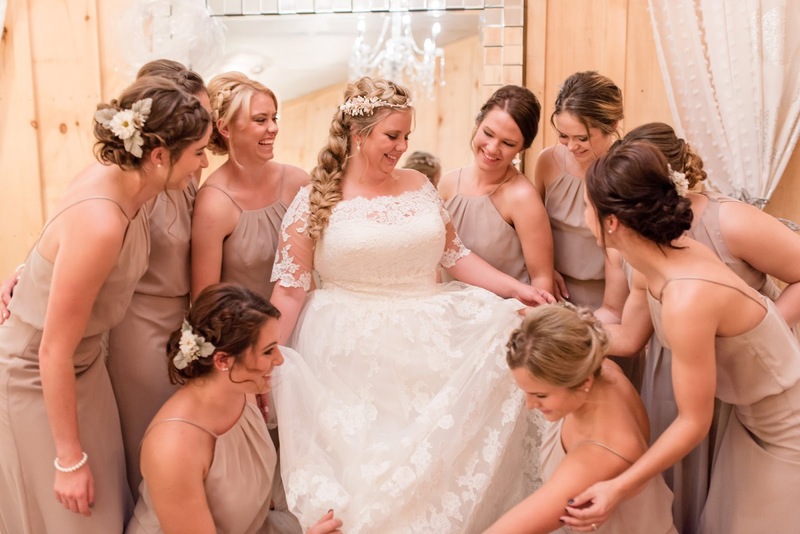 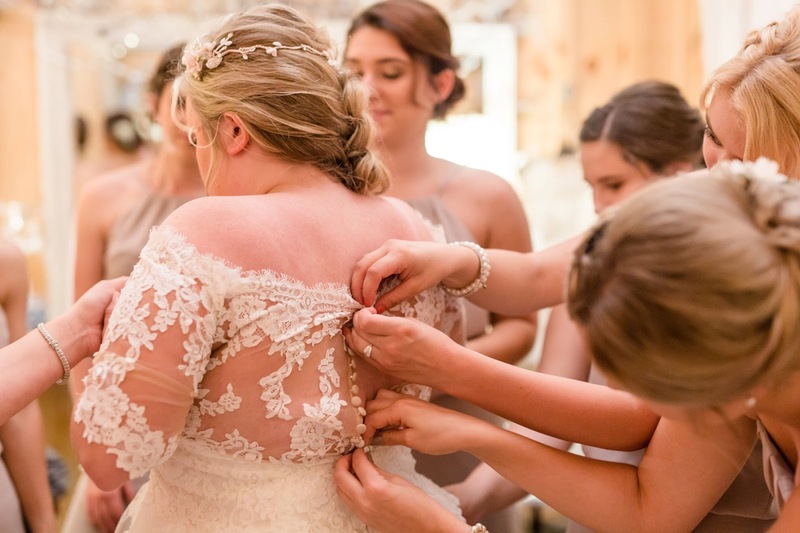 I just loved the color palette that Heather chose, and her bridesmaids’ dresses were some of the prettiest I’ve ever seen, long and in a beautiful muted blush tone. 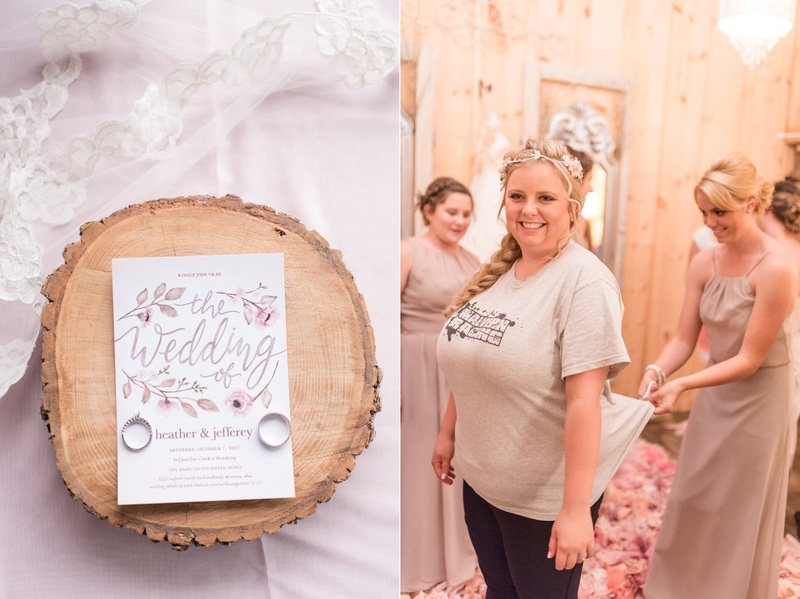 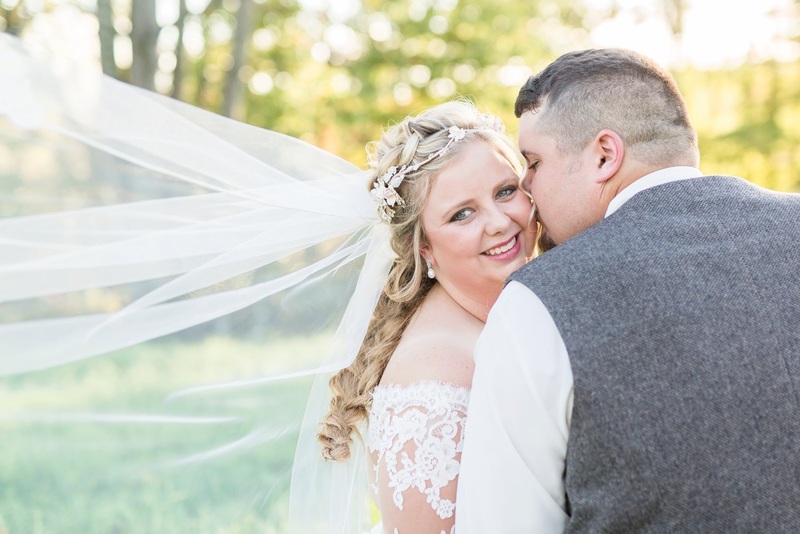 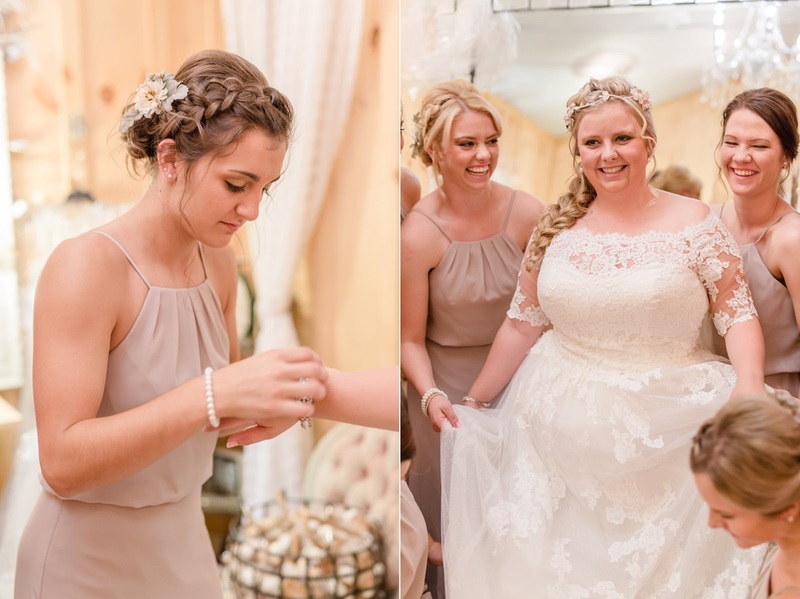 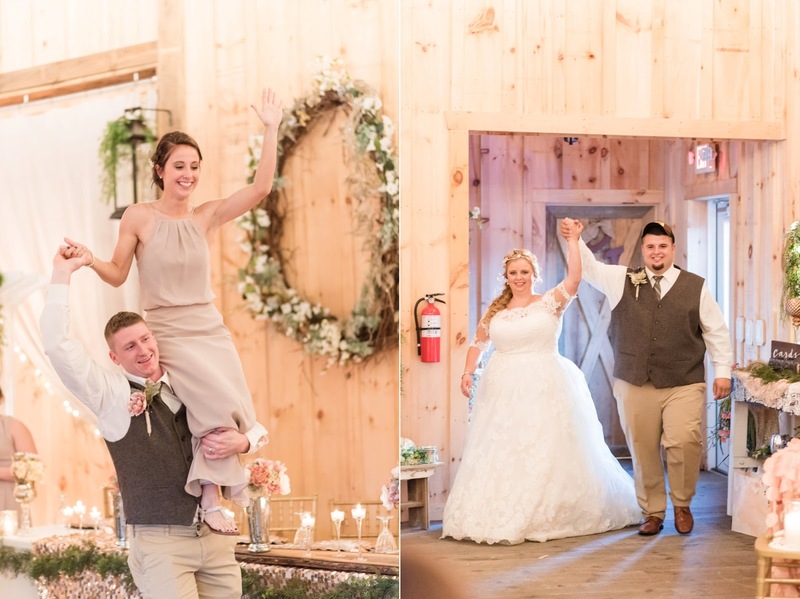 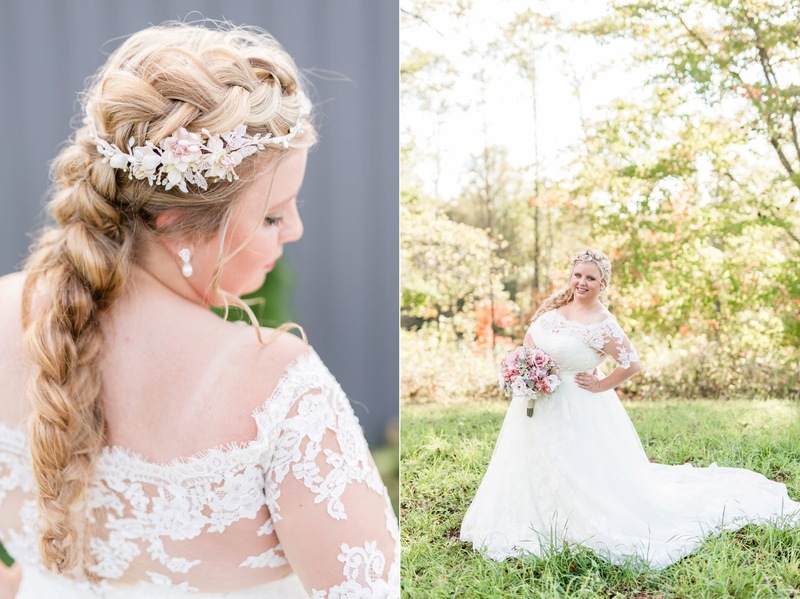 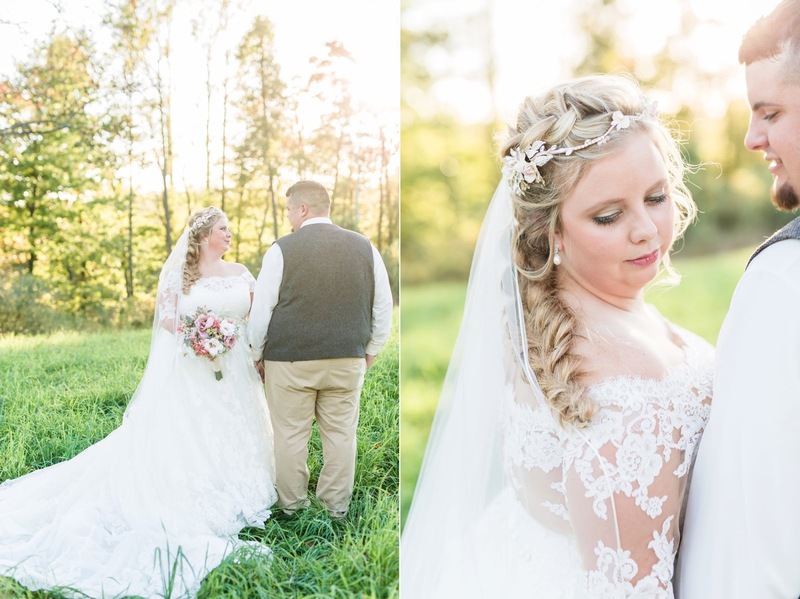 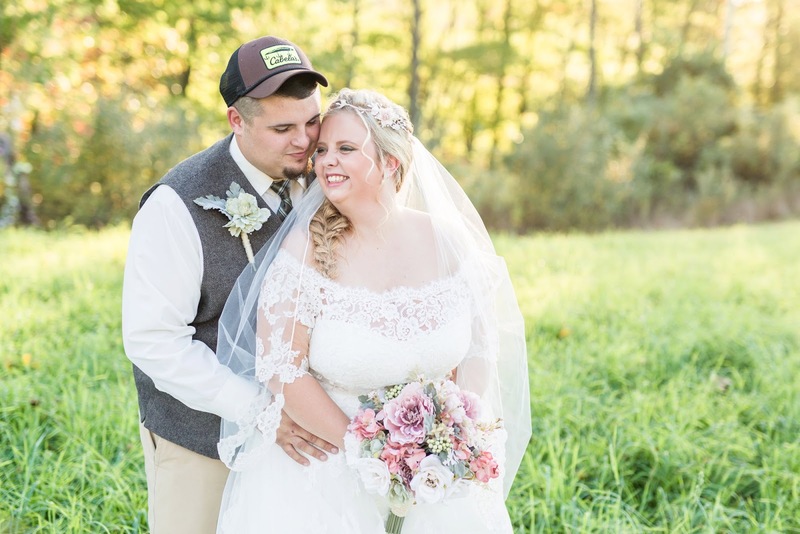 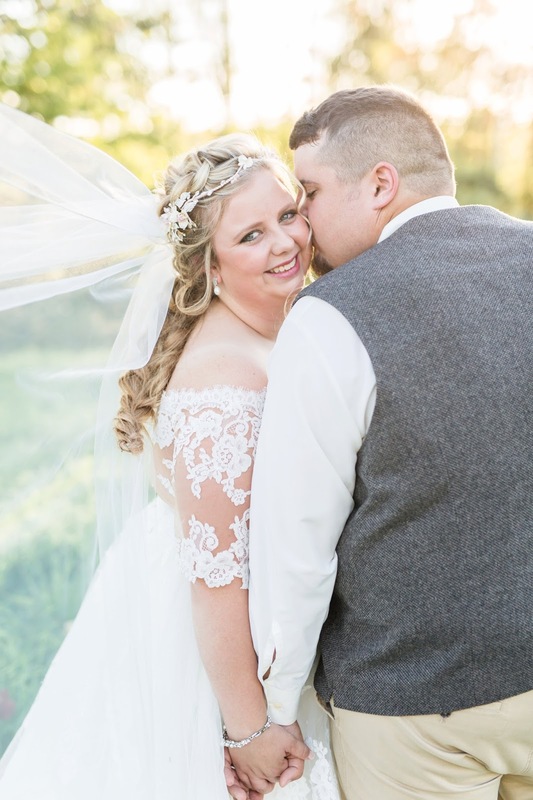 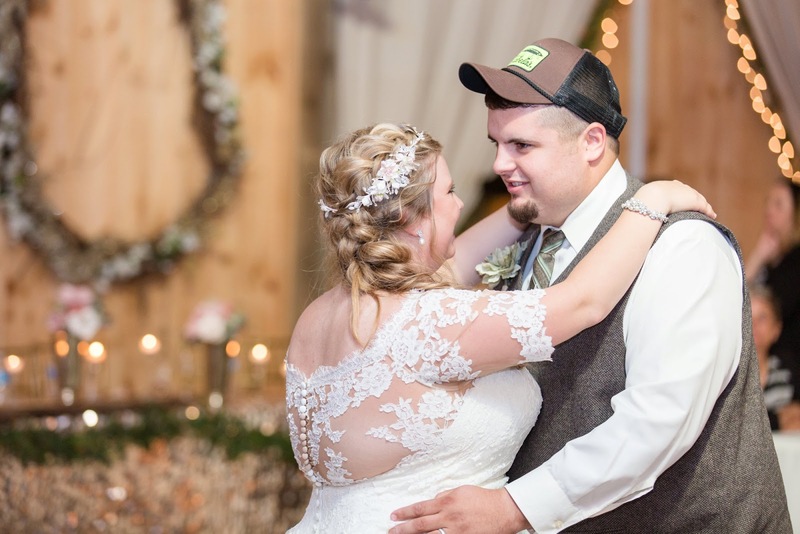 Her color palette complimented the light wood of the barn so well, and I just loved all the details there were to capture, from Heather’s beautiful headpiece to the s’mores provided for the firepit out back. 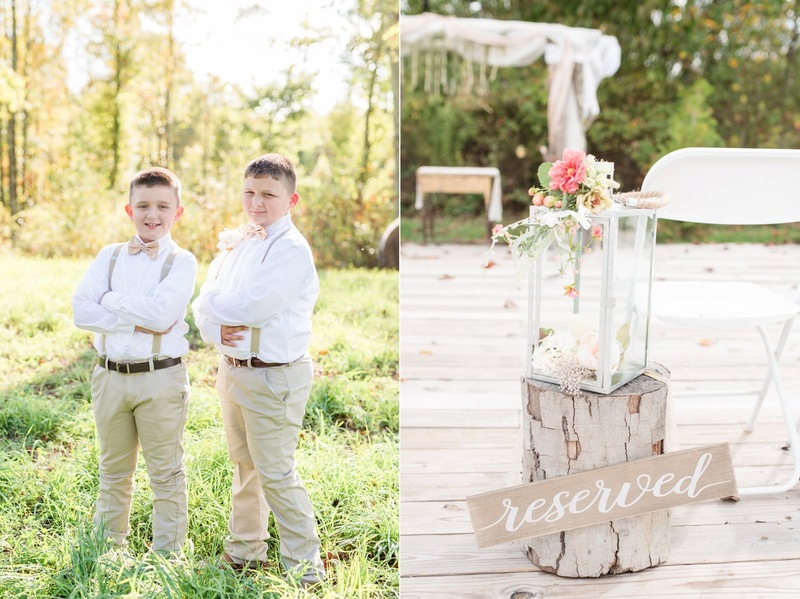 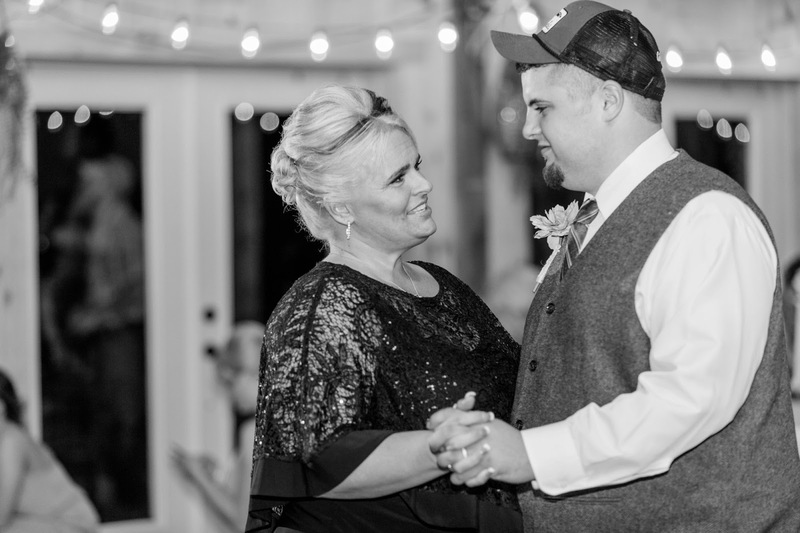 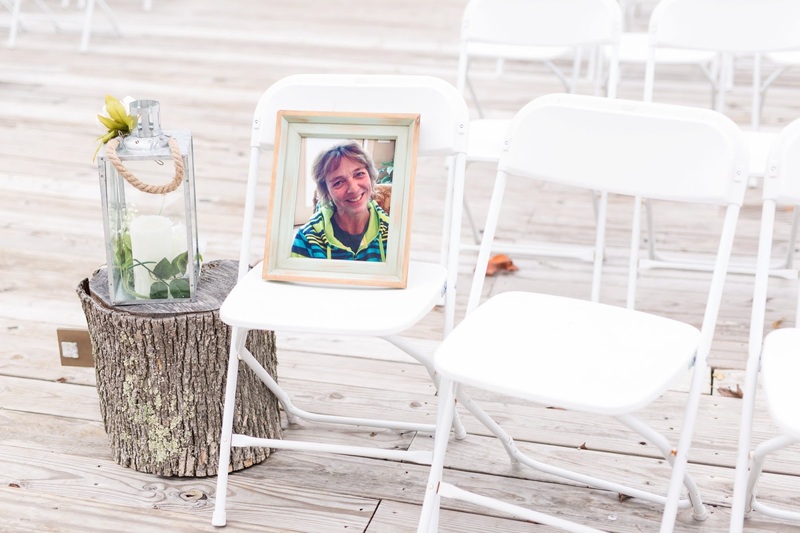 They also had a chair with a photograph at both the ceremony and reception in memory of Heather’s mother, and it was so touching so see how they honored her. 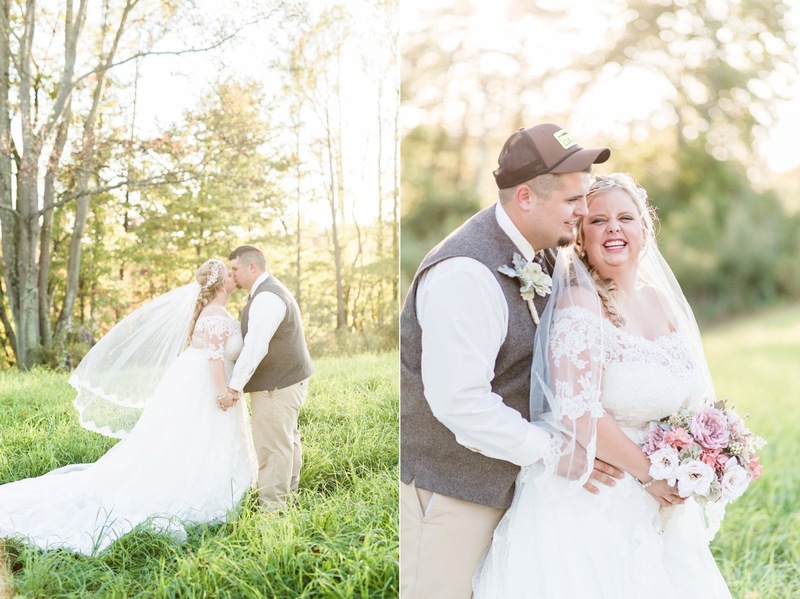 Heather and Jeff, I wish you the best in your marriage and many happy years together! 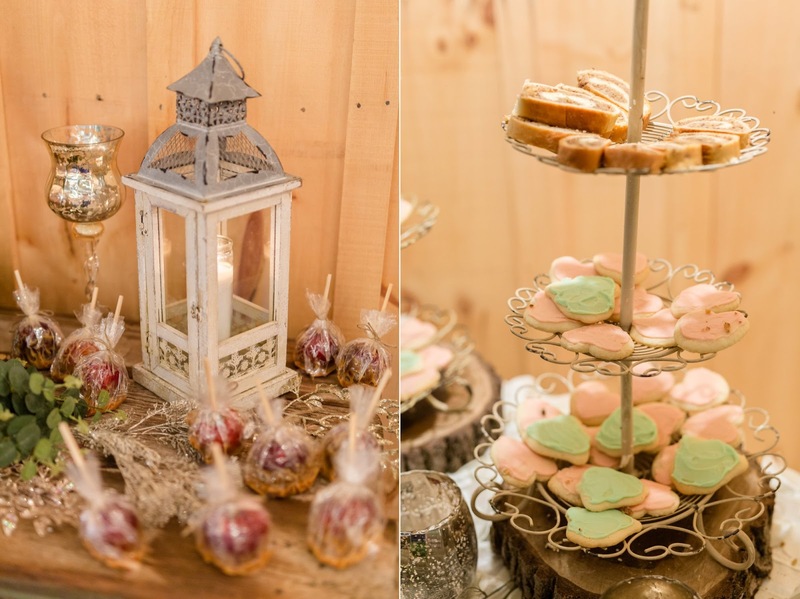 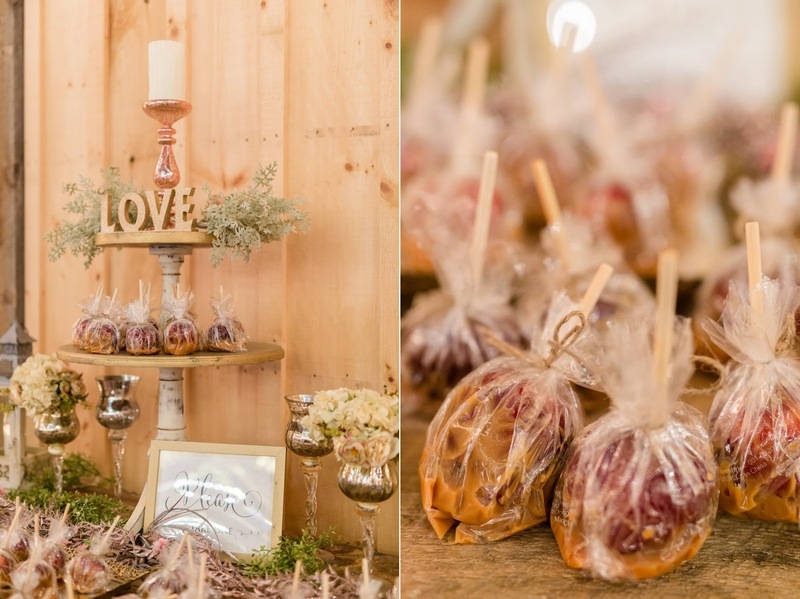 LOVED this homemade candy apple bar!!! 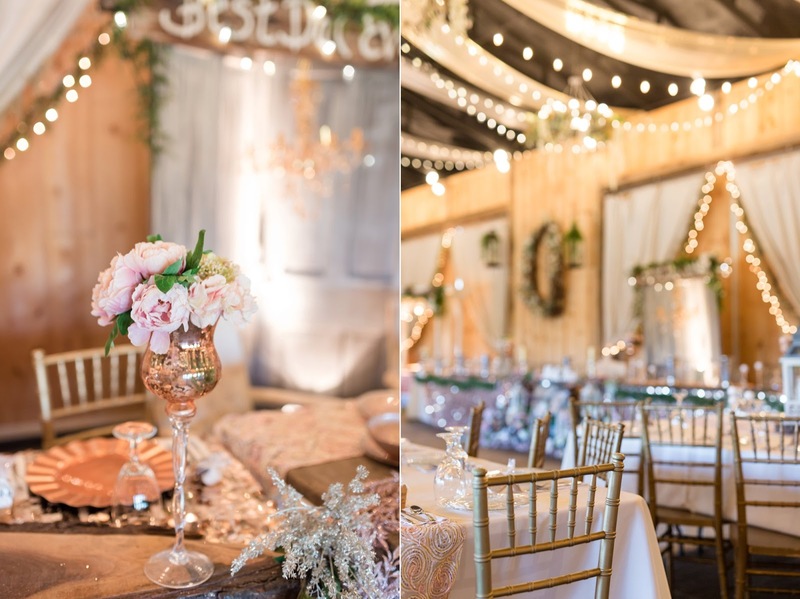 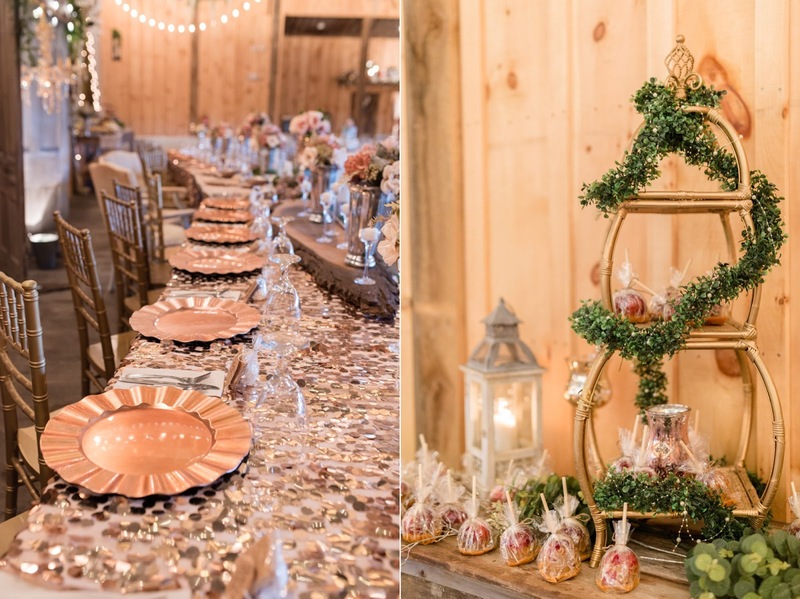 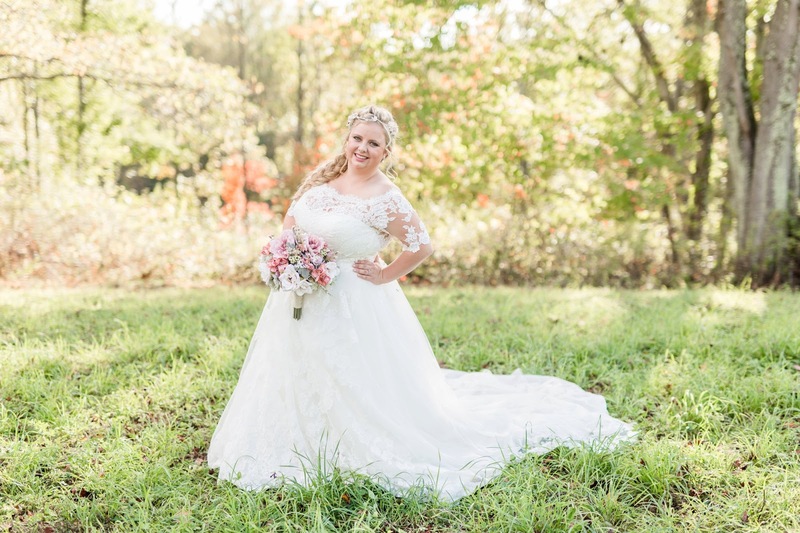 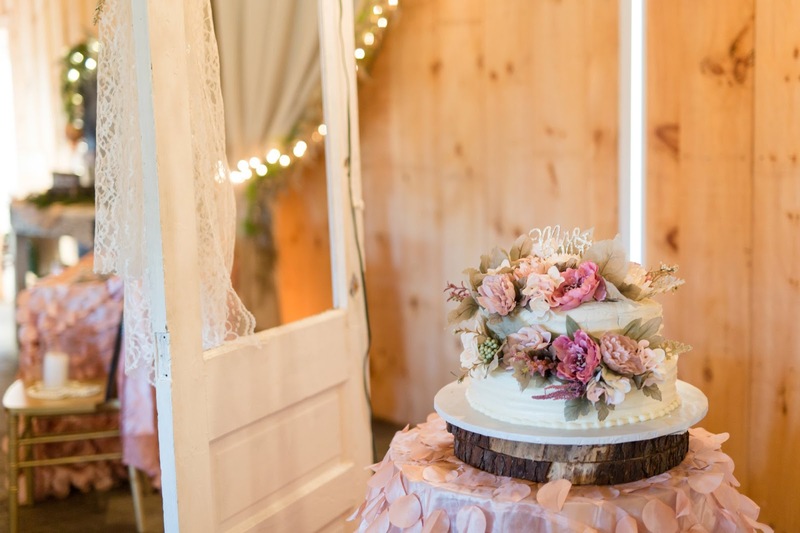 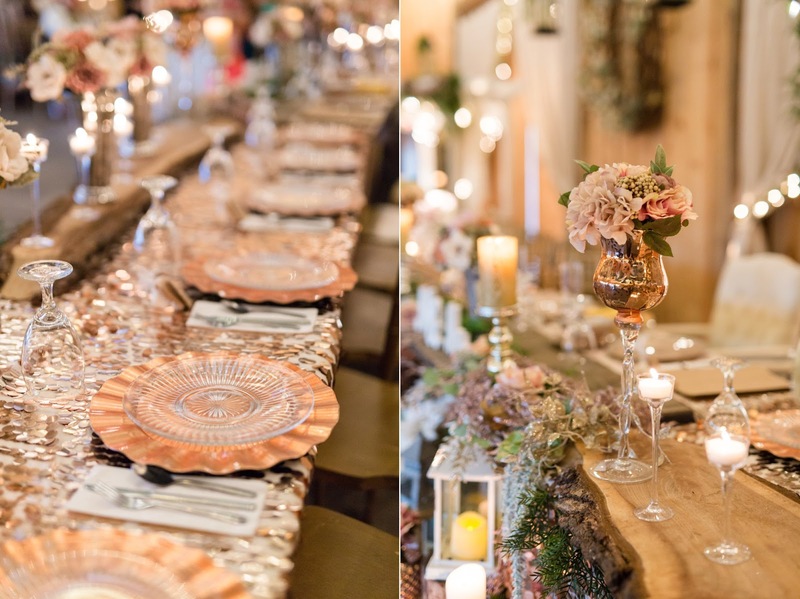 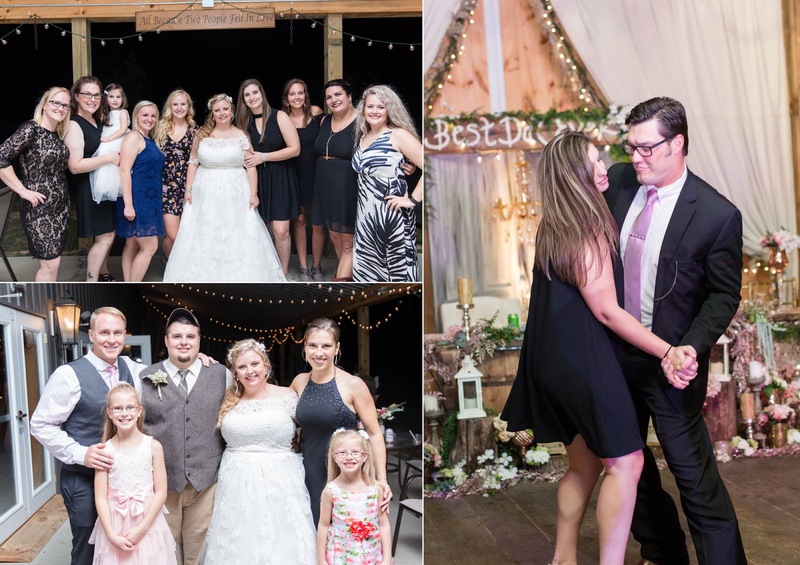 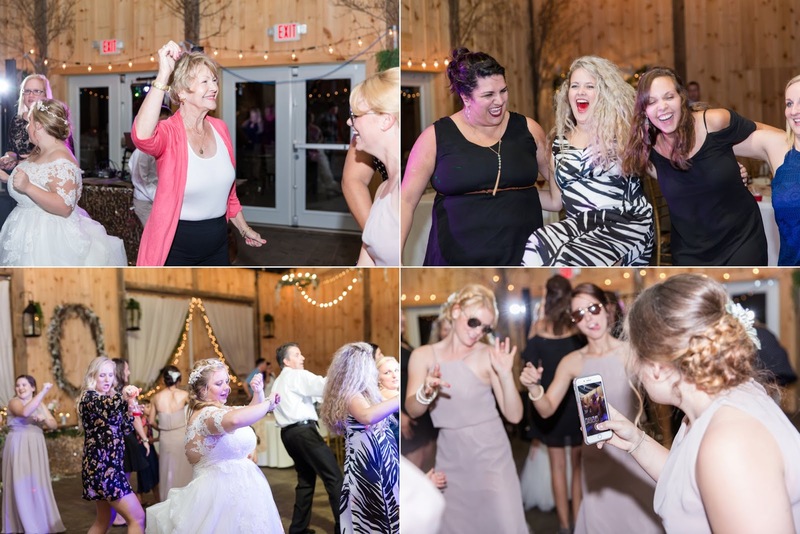 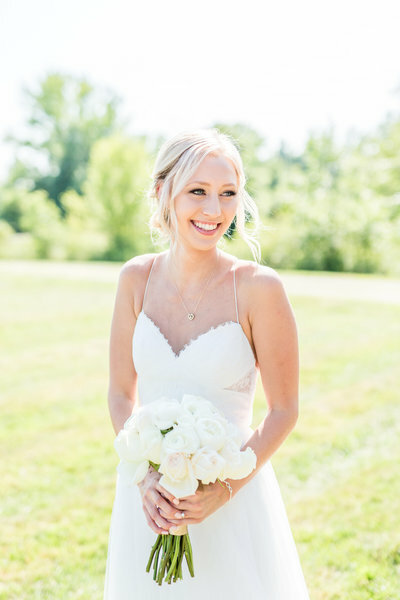 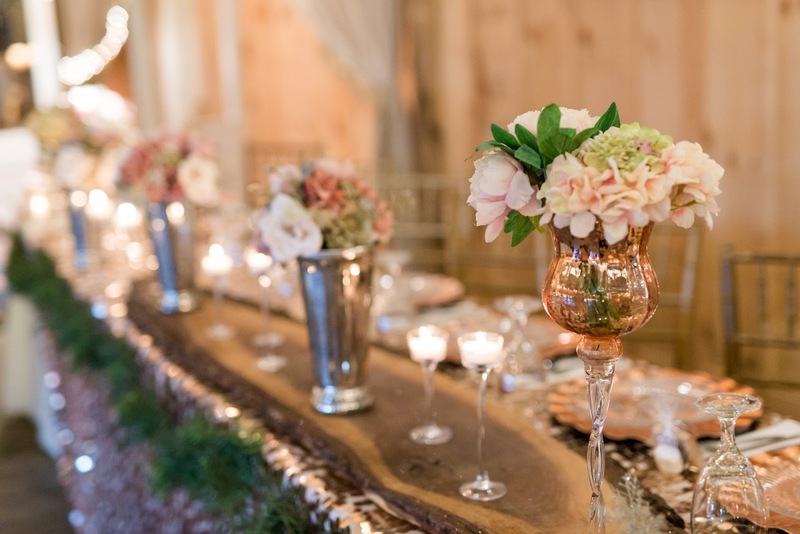 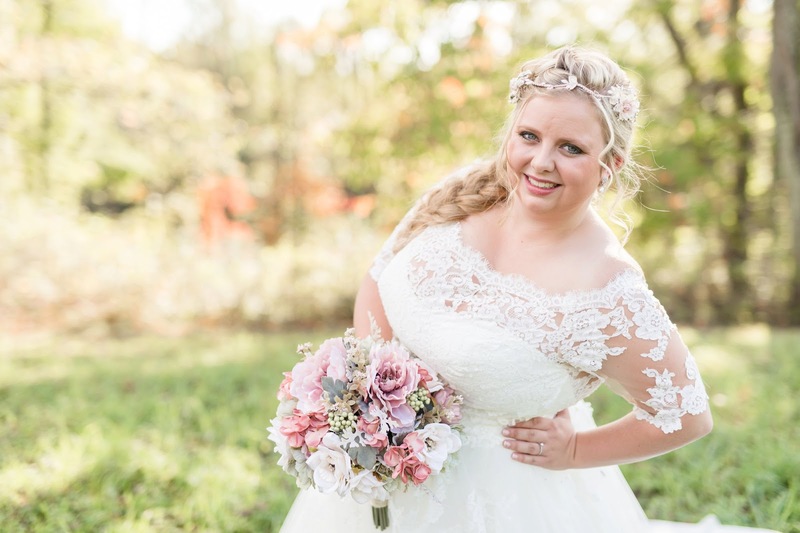 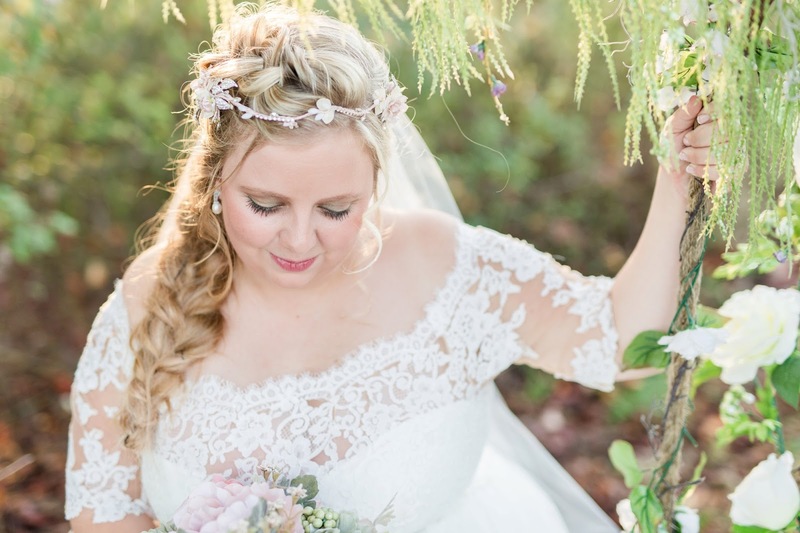 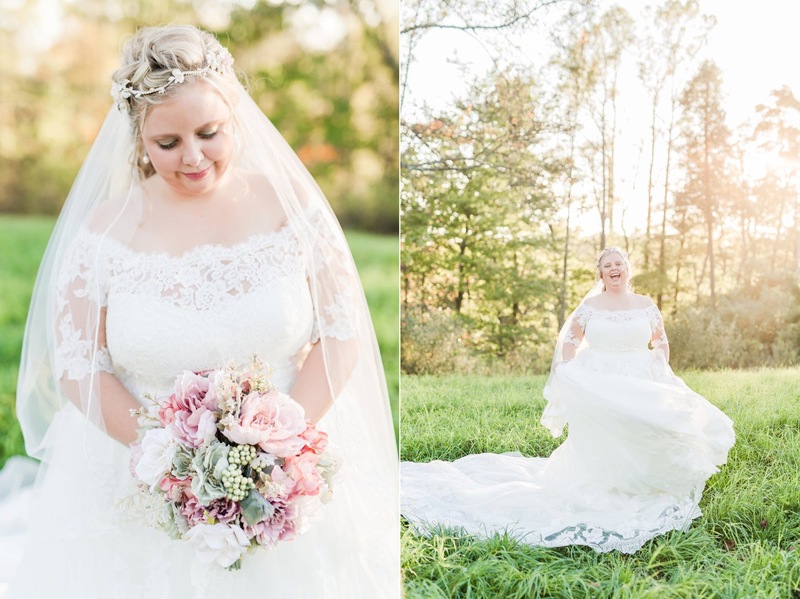 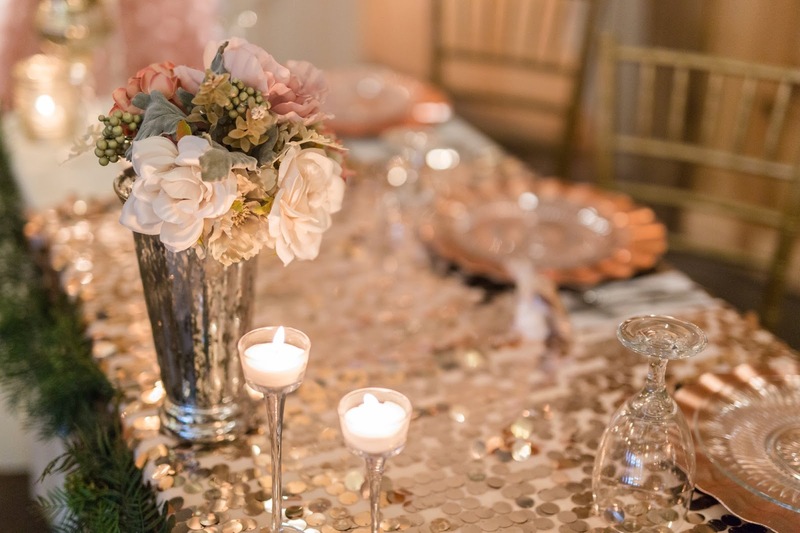 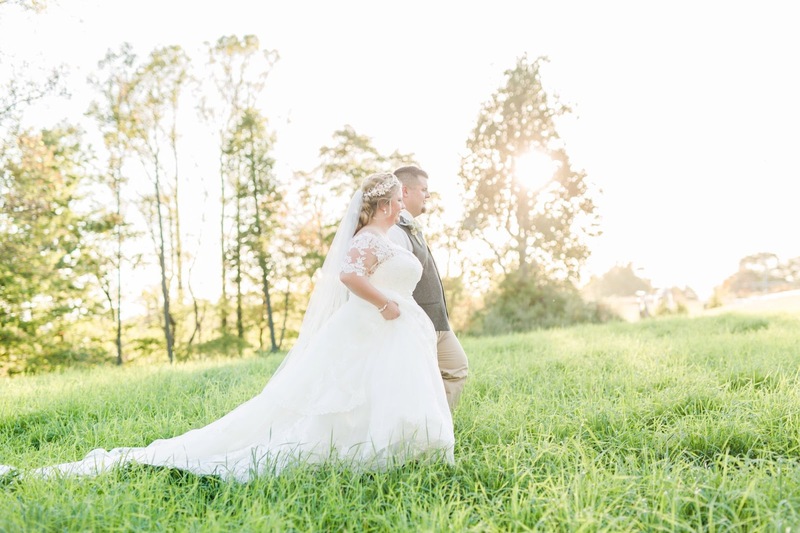 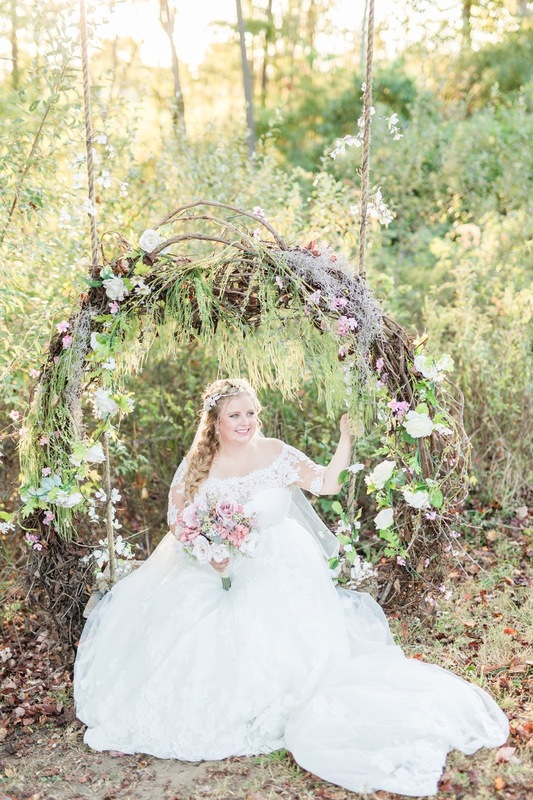 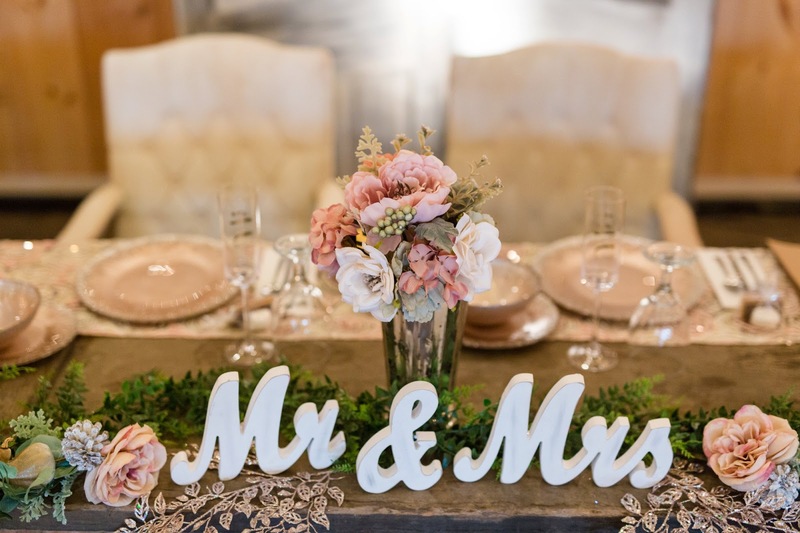 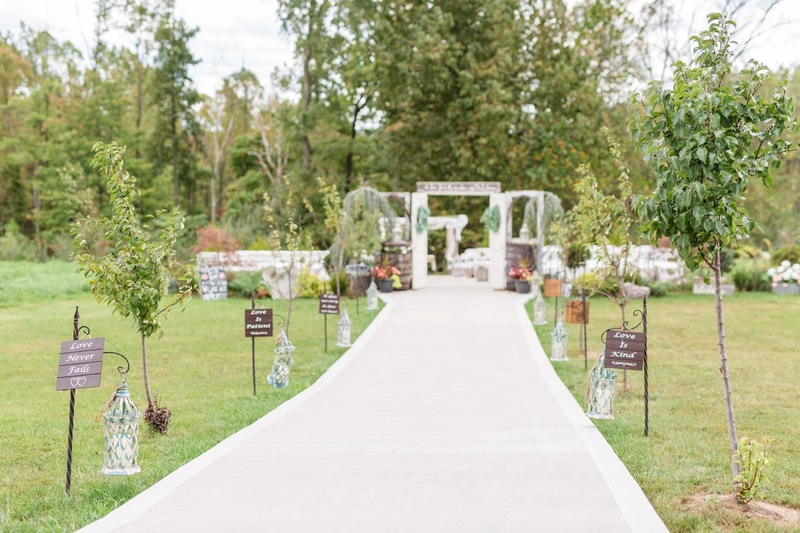 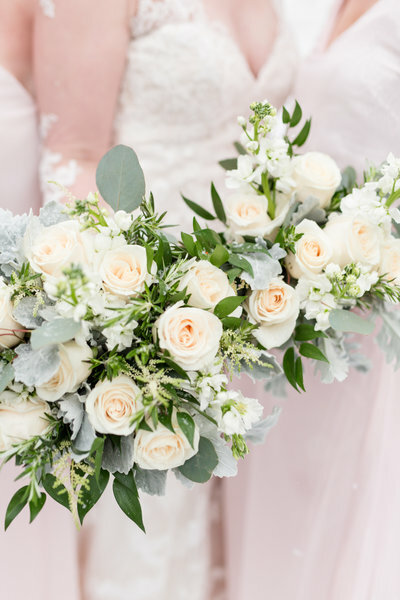 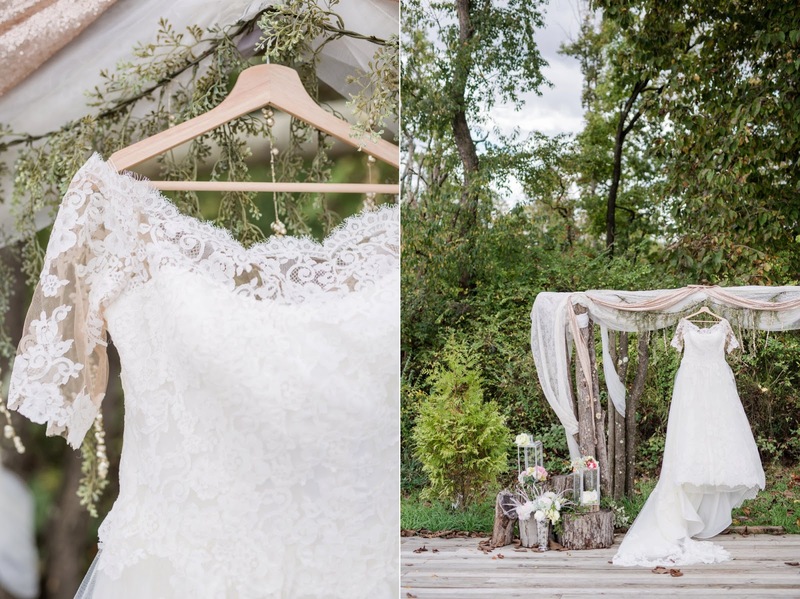 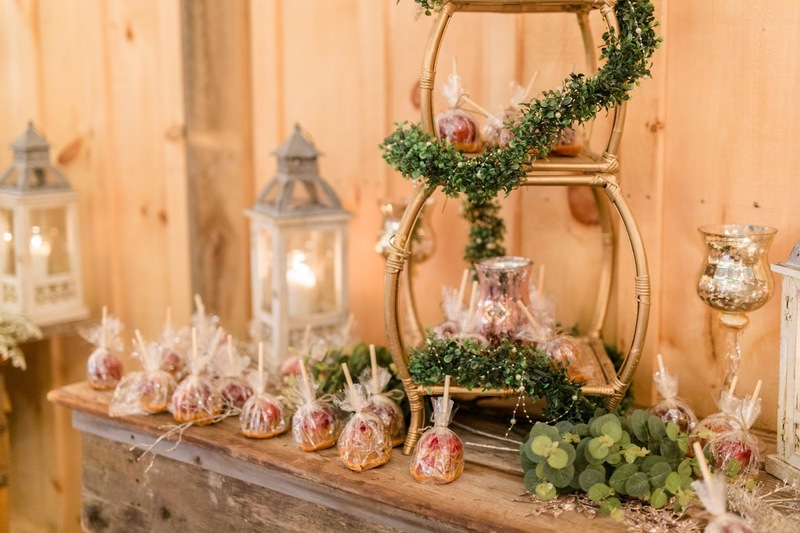 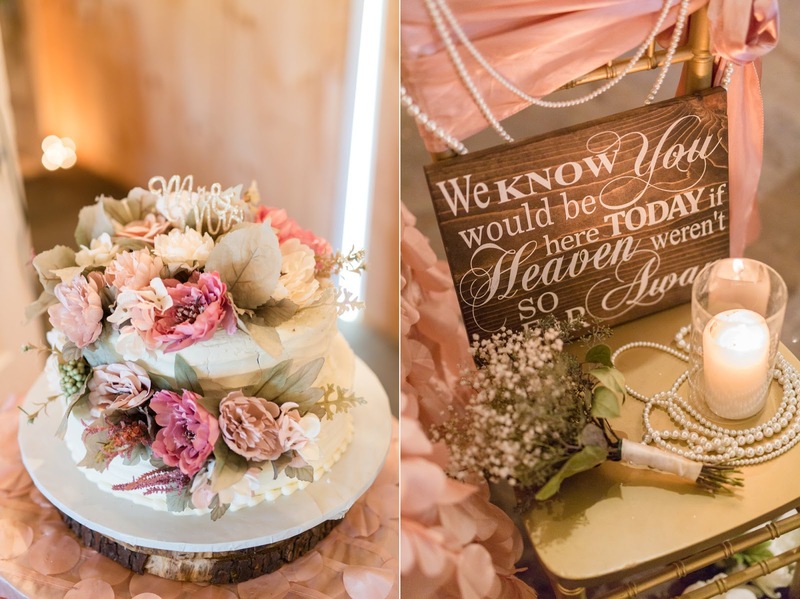 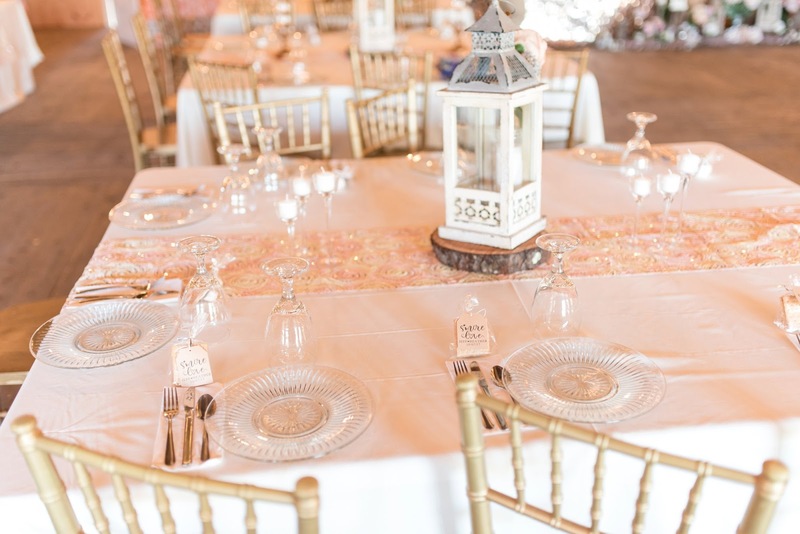 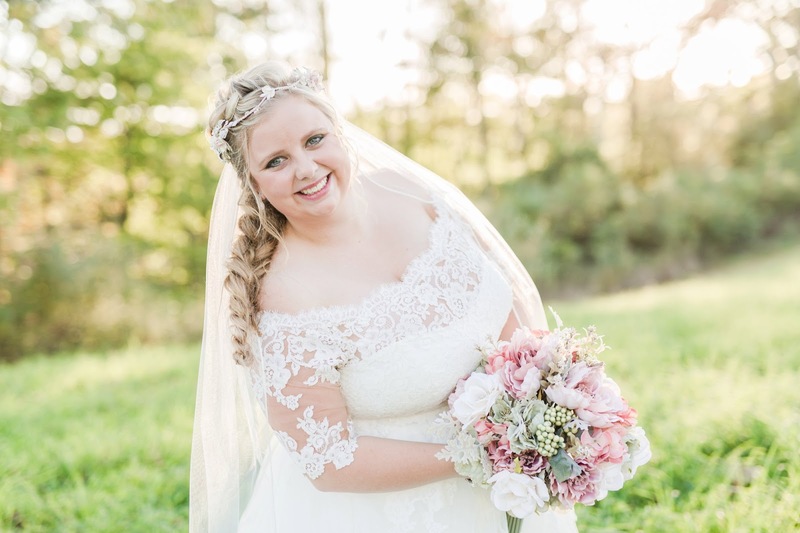 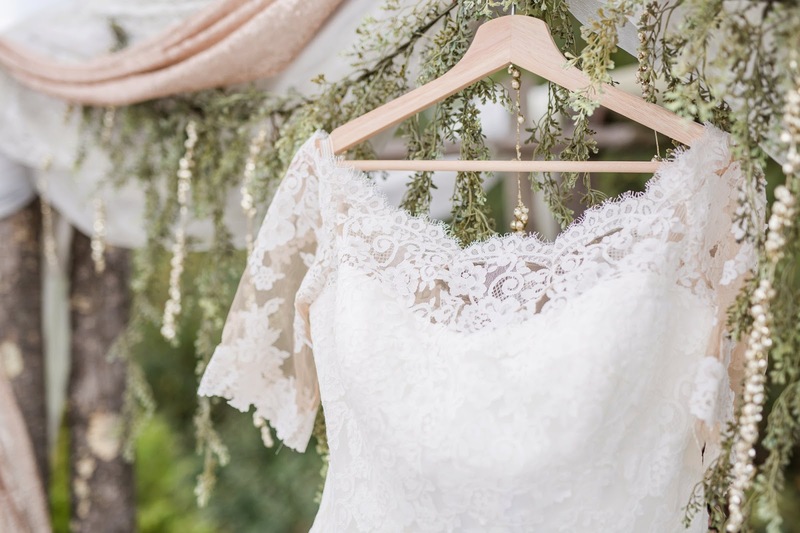 If you liked this post, you might also enjoy a romantic plum wedding filled with florals at the Barn on Enchanted Acres!